本发明提供了一种计算机实现的认证方法，包括以下步骤：使用户能够将标识符(例如PIN)输入到具有屏幕和在屏幕的小键盘区中具有可操作的小键盘的电子设备；通过经由在小键盘区至少部分显示的乱序小键盘的至少一部分的图像操作小键盘的至少一个键。 The present invention provides a computer-implemented method of authentication, comprising the steps of: enabling the user identifier (e.g., PIN) is input to the screen with an electronic device having a keypad operable in a small screen keyboard; via at least partially displayed on a small keyboard keypad scrambled image operation keypad least a portion of at least one key. 用户经由图像对小键盘的键的操作生成用户意图输入的编码版本。 User's intention to generate an encoded version of the user via the image input operation of the keypad keys. 本发明在某种意义上可理解为在底层功能小键盘上方重叠乱序小键盘的非功能图像。 In a sense the present invention is understood to overlap the image non-functional disorder in the underlying functionality of the keypad above the keypad. 图像可以是任何类型的电子图像，并且可包括视频图像。 An electronic image may be any type of image, and may include video images. 本发明特别适用于，但不限于，移动电话、平板计算机、PC等。 The present invention is particularly suitable for, but not limited to, a mobile phone, a tablet computer, PC and the like. 其可以在被授权访问受控资源之前必须验证用户身份的任何系统中实施。 Any system that may have to authenticate users before they are granted access to controlled resources in implementation. 本发明一般涉及用户认证，更具体地涉及基于PIN的验证领域。  The present invention relates generally to user authentication, and more particularly, to the field of the PIN-based authentication. 本发明是适用于要求用户输入密码的情况，密码比如在完成操作之前需要进行证实的个人识别码(PIN)。 The present invention is suitable for applications requiring the user to enter a password, the password prior to completion of such operations require a personal identification number (PIN) confirmed. 操作可以是任何类型的操作。 Operation can be any type of operation. 认证是用于在被允许对一些受控制的或受管理的资源（比如设备、建筑物、计算机系统、金融帐户、服务等)执行行为之前或获得访问之前需要验证个体的身份和/或认证的各种情况下使用的技术。  certification before being allowed to be used for some controlled or managed resources (such as equipment, buildings, computer systems, financial accounts, services, etc.) before execution behavior or gain access required to verify the identity of individuals and / technique used in each case or authenticated. —种认证的普通方法是记录一些预先选择的标识符（例如代码，或符号的组合）， 标识符随后被秘密地保存在安全位置，并仅为经授权方可用。  - a common method of some kind of certification is preselected recording an identifier (e.g. a combination of codes or symbols), the identifier is then stored in a safe place in secret, and only authorized before use. 例如，标识符被存储为与特定用户或用户组相关联，且有时可结合另一预先确定标识符进行存储和/或使用。 For example, the identifier is stored as being associated with a particular user or group of users, and sometimes in conjunction with another pre-determined identifier storage and / or use. 标识符通常由用户自己选择，虽然有时确定标识符者可能是资源管理者或所有者。 Identifier is typically selected by the user, although sometimes determine the identifier could be resource managers or owners. 在许多情况下，用户可以能够改变他们先前选择的标识符。 In many cases, users may be able to change their previously selected identifier. 通常，在用户最初加入组织时选择标识符;例如，当他开始受雇于某一公司，或关于某项服务注册提供商。 Typically, when a user identifier is initially selected to join the organization; for example, when he commenced employment with a company, or in respect of any registered service provider. 在识别符已被选择并分配给授权的个体后，用户每次请求对资源或服务执行受控制的行为或获得访问的允许时被要求提供预先确定的标识符。 After that has been selected and assigned to an identifier authorized individuals, each time the user requests for resources or services performed by the behavior control or gain access is required to provide a predetermined allowable identifiers. 将用户所输入的标识符与存储的版本相比较。 Comparing the user input with the stored version identifier. 如果用户能够提供正确的标识符，则认为他的身份已经被验证，并授权访问。 If the user is able to provide the correct identifier, that his identity has been verified, and unauthorized access. 而另一方面，若未提供正确的标识符，则访问被拒绝。 On the other hand, if not provide the correct identifier, access is denied. 在本文中，该标识符可被称为个人识别代码(PIC)。  Herein, the identifier may be referred to as a personal identification code (PIC). PIC的一个常见示例是通常称作个人标识码(PIN)的4位数字代码。  A common example is commonly referred to as PIC personal identification number (PIN) 4-digit code. 术语“PIC”旨在包括术语“PIN”（个人标识码）。 The term "PIC" is intended to include the term "PIN" (personal identification number). 然而，可使用其他不同长度和包含不同类型的字符或符号的代码。 However, other codes may be of different lengths and contain different types of characters or symbols. 本发明并不旨在对所用标识符的长度，或其所包含的字符的类型进行限制。 The present invention is not intended to length of the type of identifier, or it contains characters to be limiting. 例如，它可含有数值数字、字母字符、图片、标点或任何其他种类的符号、或它们的混合体。 For example, numeric values ​​which may contain alphabetic characters, images, or any other kind of punctuation symbols, or a mixture thereof. 为方便起见，在下文使用的术语“PIN”或“PIC”可以指的是用户的标识符，但不应解释为以任何方式限制标识符的长度、类型或格式。 For convenience, hereinafter the term "PIN" or "PIC" may refer to a user identifier, but should not be construed as limiting in any way the length of the identifier, type or format. 基于PIN验证系统通常包括小键盘，小键盘能使用户输入他们预先选择的PIN。  PIN-based authentication systems typically include a keypad, a keypad, enables a user to input their PIN preselected. 图14a中示出了本领域已知的典型的小键盘布局。 Figure 14a shows a typical known in the art keypad layout. 小键盘是一组设置成块或“面板”的按钮或“按键”。 The keypad is provided a group of blocks or "panel" button or "button." 按键以彼此相邻的网格的形式来设置从而形成面板。 In the form of buttons adjacent to each other to form a mesh panel to set. 按键具有印刷的、雕刻的、模压的标记(标识符)或以其他方式在它们上面展示的标记(标识符）。 Keys have printed, engraved, embossed mark (identifier) ​​or otherwise presented on them mark (identifier). 键上的标记通常包括例如“6”的一个符号，但是可以包括一个以上的符号，例如“AB”。 Typically include indicia on the key "6", for example, a symbol, but may include more than one symbol, such as "AB." 键上的标记通常以规则的方式布置，比如顺序的串行。 Indicia on the keys is generally arranged in a regular manner, such as a serial order. 例如，数位通常以升序排序。 For example, the number of bits is typically sorted in ascending order. 在本文件中，术语“小键盘”可与术语“p inpad”互换使用。 In this document, the term "keypad" can be used interchangeably with the term "p inpad" interchangeably. 小键盘经常出现在连接到计算设备的字母数字键盘上。  The keypad often connected to the computing device on the alphanumeric keypad. 所公知的是其他设备，比如计算器、按钮式电话、号码锁和数字门锁也包括小键盘。 Other known devices, such as calculators, push-button telephone, a digital door lock and number also includes a keypad. 便携式电信和计算设备的出现也可见被引入到诸如移动(蜂窝）电话、平板计算机、PDA等的移动设备的小键盘。 Advent of portable computing and telecommunications equipment is also found to be introduced into mobile devices such as mobile (cellular) phone, a tablet computer, PDA or the like keypad. 目前，许多电子设备都包括计算机处理能力和能够显示小键盘的触摸屏界面。  Currently, many electronic devices including computer processing power and can display the keypad touch screen interface. 这些可以用于各种用途，包括允许授权用户通过输入包含预选符号的组合的密码来“解锁”设备，或输入电话号码以拨打电话。 These can be used for various purposes, including allowing an authorized user to "unlock" the device, or enter a phone number to make a call via the password input symbol comprising a preselected combination. 在金融交易中使用的卡读取终端也具有小键盘，以允许用户经由小键盘来输入他的PIN。 Card reader terminal for use in financial transactions also have a keypad, allowing the user via the keypad to enter his PIN. 每个类型的智能电话（例如品牌和/或型号）可具有与其相关联的特定样式的键盘，作为其“默认”键盘。  Each type of smart phone (e.g., brand and / or model) may have associated therewith a particular style keyboard, as its "default" keyboard. 例如，键可以设置成特定格式或布局，或者可用于标记的特定字体。 For example, the key may be provided to a specific format or layout, or may be labeled for a specific font. 因此，电子设备的用户可关于该设备上的小键盘而熟悉某种“外观和感觉”。 Therefore, the user of the electronic device can be on the keypad on the device and are familiar with some kind of "look and feel." 图14b中示出了众所周知的智能电话上产生和显示的典型小键盘的示例。 Figure 14b shows an example of generated and displayed on a typical well-known smart phone keypad. 默认小键盘的产生是通过在电话中执行过程调用。 The default keypad generated by the implementation process is to call on the phone. 与具有可按压(物理可动)键的传统小键盘相比，触摸屏可用来显示具有对应于常规键盘的物理按键的数字标记或其他指示“热点”的小键盘的图像。  Compared with the traditional keypad having depressible (movable physical) key, a touch screen used to display an image corresponding to the digital marker with a conventional keyboard or other physical buttons indicating "hot spots" of the keypad. 用户触摸他所选择的与键对应的热点来代替按压可动键。 User touching the hotspot corresponding to the key of his choice to replace the movable button is pressed. 置于屏幕表面之下的感测器感测用户选择了哪个区域， 从而“读取”用户的输入。 Sensors sensing a user placed under the surface of the screen which region is selected, so that "read" the user's input. 小键盘和基于PIN的技术的最常见的使用可能与金融交易相关，例如自动柜员机(称为“ATM”或“提款机”）和银行卡(即借记卡和信用卡)的销售点设备。  keypad, and may be associated with financial transactions based on the most common use of PIN technology, such as automated teller machines (called "ATM" or "ATM") and bank cards (ie, debit and credit cards) sales point device. 引入基于PIN的认证之前，如果客户希望购买商品或服务，他将被要求提供与卡片背面上的签名进行比较的签名。  Prior to the introduction of PIN-based authentication, if the customer wants to purchase goods or services, he will be required to provide a signature on the back of the card and compare signatures. 然而，签名可以相对容易地伪造。 However, the signature can be relatively easily forged. 为了解决这个问题，许多国家已经引入智能卡技术以用于信用卡、借记卡和ATM 卡。  In order to solve this problem, many countries have introduced smart card technology for credit cards, debit cards and ATM cards. 这种支付系统(有时称为“芯片和PIN”系统)基于称作EMV标准的全球标准。 This payment system (sometimes referred to as "chip and PIN" system) based on a global standard known as EMV standard. 使用这种方法，信用卡和借记卡设有嵌入式微芯片。 Using this method, credit and debit cards embedded with a microchip. 当客户希望使用该系统为商品支付时，将卡放入访问卡上的芯片的“销售点(P0S)”终端或改进的刷卡读取器。 When customers want to use the system for the commodity payment, the card in the "point (P0S) sale of" terminal or improved chip card reader on the access card. 一旦卡已被验证为授权，则客户输入4位PIN，该4位PIN被提交到智能卡上的芯片；如果两者相匹配，则芯片将告知终端该PIN是正确的，否则它将通知终端该PIN是不正确的。 Once the card has been verified as authorized, the customer enter a 4-digit PIN, the 4-digit PIN to be submitted to the chip on the smart card; If they match, the chip will inform the terminal PIN is correct, or it will notify the terminal PIN is incorrect. 如果输入中的每个符号在存储的版本中也被发现，并且以相同的顺序和数量，则所输入的PIN与存储的PIN匹配。 If each of the input symbol is also found in the stored version, and the PIN matching and in the same order number, then the entered PIN with a stored. 在某些情况下，可通过以下方式来进行进入交易：刷卡上的磁条以读取卡的数据来进行金融交易，或人工输入卡资料，而不是将卡插入专用的读卡设备。  In some cases, can be carried out by entering the transaction: the magnetic stripe on the card to read card data to carry out financial transactions, or manually enter card details, rather than inserting the card into a dedicated reader device . 应注意，由于PIN被发送回主机以用于验证，所以安全考虑变得值得关注，因为PIN 在传输过程中可能被截取。  It should be noted, because the PIN is sent back to the host for validation, security concerns become so noteworthy because PIN may be intercepted during transmission. 自从引入了基于PIN的验证，面对面交易（卡和客户亲自出现在交易发生的零售场所）引起的欺诈已急剧减小，因为以欺诈的方式获得或猜中PIN明显比伪造签名更难。  Since the introduction of the PIN-based authentication, face to face transactions (customer cards and retail spaces appear in person in the transaction occurred) caused by fraud has been sharply reduced because of fraudulent obtaining or PIN guessed significantly more difficult than the forged signature . 此外，在基于PIN的验证出现之前，如果客户的签名是伪造的，卡供应商对任何随后进行的欺诈通常负有法律责任，并被迫为顾客赔偿。  In addition, before the emergence of PIN-based authentication, if the customer's signature was forged, the card supplier for any fraud that followed generally liable and forced to compensate customers. 然而，随着智能卡技术的引入，责任通常转移到了客户，以证明他们已经做了“合理的关注”来保护他们的PIN，而不是要求在卡提供商不得不证明在交易期间提供的签名与卡上的签名相匹配。 However, with the introduction of smart card technology, the responsibility is usually transferred to the customer, in order to demonstrate that they have made a "reasonable care" to protect their PIN, rather than requiring the signature card providers have to prove to the card during the transaction provided the signature on the match. 责任的转移为卡提供商带来了非常显著的经济效益。 Transfer of responsibility has brought significant economic benefits for the card provider. 基于签名的验证的另一个缺点是，其不提供其在交易进行时卡(和用户)不在零售场所出现的情形中交易一一例如，通过电话或互联网进行交易。  Another drawback of signature-based authentication is that it does not provide it when the transaction card (and user) is not in the case of retail establishments that appears transaction-for example, make trades by telephone or the Internet. 这样的交易通常认为是“无卡(CNP)”交易。 Such transactions are usually considered to be a "card (CNP)" transaction. 现在，CNP交易在当今零售环境中很普遍，因为许多客户选择不在零售点进行金融操作。 Now, CNP transactions are common in today's retail environment, because many customers choose not to carry out retail banking operations. 然而，尽管基于PIN的技术提供了用于“有卡”面对面交易的相对安全的认证方案，但由CNP交易引起的欺诈正在上升。 However, while providing a relatively safe authentication scheme "card present" face to face transaction PIN-based technology, but fraud caused by CNP transactions is on the rise. 此外，移动(蜂窝）电话技术已经为零售商和消费者等打开新的机会。  In addition, the mobile (cellular) phone technology has opened new opportunities for retailers and consumers alike. 包含复杂的计算能力的所谓的“智能”电话并且已经非常普及，向用户提供便利，例如在网上冲浪和查看零售商的网站的能力。 It contains complex computing power of the so-called "smart" phones and has been very popular, providing convenience to the user, such as the ability to surf the web and view web site retailers. 同样地，通常客户和零售商不必被绑到一个实体的地理位置，而是“在移动中”。 Likewise, generally you do not have customers and retailers tied to a geographic entity, but "on the move." 例如，客户可能希望在公共汽车站等车的同时经由在移动电话浏览网站而进行购买;或停车服务员可能希望向在停车场的司机收取付款。 For example, a customer may wish to make a purchase via a mobile phone while browsing the site, while the bus stop waiting for the bus; parking attendant or the driver may wish to receive payments in the parking lot. 在这种情况下，专用销售点终端是不可用的。 In this case, the dedicated point of sale terminal is unavailable. 然而，尽管移动计算技术十分普及(特别是电话），但由于安全方面的考虑，其关于CNP交易的使用已经受到了限制，因为在从设备向卡提供商的服务器传输或从卡提供商的服务器向设备传输期间的数据(例如用户的PIN)，或同时存在于电话的内置存储器中的数据，可以被截取。  However, while mobile technology is very popular (especially the phone), but because of security concerns, its use on CNP transaction has been limited because the server or provide transmission equipment from the card to the card provider from the server's data (e.g., a user's PIN) during a transmission device, or both are present in the data in the internal memory phone, it can be intercepted. 一些与PIN相关的技术已经在设计时考虑到移动性，并且在现有技术中是已知的。  Some related art PIN has been considered in the design of the mobility, and are known in the prior art. 例如，CardEase Mobile®是移动支付应用(app)，其结合移动读卡机，能够使零售商采用芯片和PIN移动卡来收取客户的支付。  For example, CardEase Mobile® mobile payment application (App), which binds the mobile reader, retailers can be moved using Chip and PIN cards to collect customer payments. 零售商将购买的金额输入到他的移动电话(或台式设备）下载并安装的应用。 Retailers will amount to purchase inputs to the application of his mobile phone (or desktop device) to download and install. 然后零售商将读卡机设备给到顾客，顾客刷其信用卡/借记卡或者将其信用卡插入到读卡机，并经由读卡机上的小键盘输入他的PIN。 Then the reader device to the retailer to the customer, the customer credit cards / debit card or credit card to be inserted into the card reader and enter his PIN via the keypad on the reader. 然后读卡机经由蓝牙连接到在零售商移动设备上的应用，然后其经由电话的因特网连接到服务提供商进行支付认证。 Then the reader via a Bluetooth connection to a mobile device application on the retailer, and then connect it to the service provider via the Internet phone payment authentication. 一旦支付被批准，客户将他的卡从读卡机中移开，并且零售商将收据通过电邮或文本发送给客户。 Once the payment is approved, customers will be away from his card reader, and the retailer will send a receipt to the customer by e-mail or text. 然而，这种已知的布置要求使用读卡机。  However, this known arrangement requires the use of a card reader. 实际上，其使用移动电话担当通常位于商店/商铺的销售点终端的角色。 In fact, the use of mobile phones play a role usually located store / point of sale terminals in shops. 收取支付的商家仍需要与进行支付的客户在相同的位置，因为他必须将读卡机交给顾客以用于与客户的信用卡或借记卡一起使用。 Fee paid by businesses still need the same position with customers paying in, because he must be handed over to the customer card reader for use with the customer's credit card or debit card. 系统并不能消除对专用（即专门构造)的读卡设备的需要。 The system does not eliminate the need for a dedicated (i.e. specially constructed) reader device. 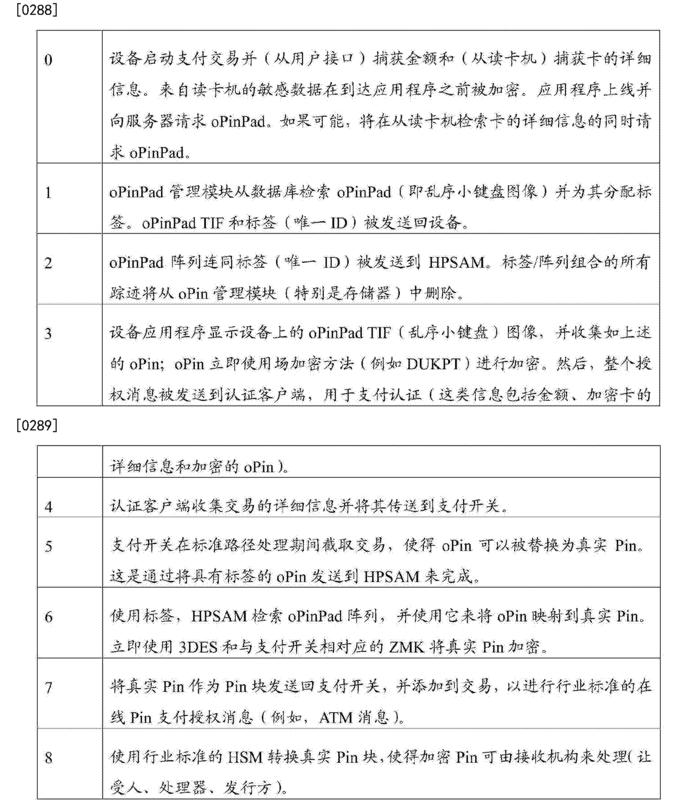 现有技术的另一个实例公开在W0/2012/004395 Al (“iZettle”）中。 Another example of  the prior art disclosed in W0 / 2012/004395 Al ( "iZettle") in. iZettle装置包括用于读取智能卡的便携式读卡机设备、便携式读取机设备和支付服务器。 iZettle comprising means for reading a smart card reader of the portable device, a portable reader device and payment server. 所公开的方法的目的是消除移动电话中用于输入PIN的不安全的键盘，而代替的是使用单独的PIN输入设备，该单独的PIN输入设备实现EMV级规范。 The object of the method disclosed is to eliminate the mobile phone keypad for entering a PIN unsafe, instead of using a separate input device PIN, the PIN input device to implement a single stage EMV specification. 本质上，所公开的方法使用外部PIN pad，该外部PIN pad配置有所需的安全芯片和部件，并且其经由蓝牙连接与移动电话进行简单通信。 Essentially, the disclosed method using an external PIN pad, the PIN pad is disposed outside the security chip and components required, and which is simple communication via a Bluetooth connection to a mobile telephone. 因此，如上所述，iZettle的公开没有解决使用不安全的移动设备用于PIN输入的问题，它通过使用单独的PIN输入设备简单地避开了这个问题。 Thus, as described above, iZettle unsafe disclosure does not solve the problem of a mobile device for PIN input it by using a separate PIN entry device simply avoids this problem. “一种更实用的解决方案:如果信用卡支付可以使用已知的、轻便的和常用的设备(诸如移动电话)进行。然而，普通的移动电话没有可以用来刷您的信用卡的内置读卡机，并且即使可以克服这个特别的问题，仍然存在关于移动电话所提供的安全级别的问题。众所周知，例如，间谍程序可以入侵移动电话并截取信用卡信息和识别信息，比如当进行信用卡支付时经由电话的键盘输入到移动电话的PIN代码，而用户甚至都不知道。鉴于以上观点， 标准移动电话通常不被认为是安全设备，并因此不适合用于进行信用卡支付。因此，此后， 寻找一种用移动电话进行安全信用卡支付方法是备受追捧的”。  "A more practical solution: If the credit card payment can be used known and commonly used in portable devices (such as mobile phones) were, however, no ordinary mobile phone can be used to brush your credit card's built-in card reader, and even if this particular problem can be overcome, there are still questions about the level of security provided by the mobile phone. as we all know, for example, spyware can hack mobile phones and intercept your credit card information and identification information, such as when a credit card payment via the telephone keypad to enter the mobile phone PIN code, users do not even know. in view of the above point, a standard mobile phone usually is not considered a security device, and therefore not suitable for credit card payments. So, then, to find a kind of conduct secure credit card payment method using a mobile phone is highly sought after. " 另一个已知的装置(也来自W0/2012/004395 Al申请)包括设备（“加密狗”）和装配到智能电话的充电端口的相关软件。  Another known device (also from W0 / 2012/004395 Al application) includes a device ( "dongle") and is fitted into a charging port of a smart phone software. 当进行交易时，客户的卡被插入到加密狗中。 When the transaction, the customer's card is inserted into the dongle. 然后，请求顾客用他们的手指来在电话的触摸屏上签名，以便授权交易。 Then, request the customer to sign with their fingers on the phone's touch screen to authorize the transaction. 使用这种方法，用户不需要输入PIN。 Using this method, the user need not enter the PIN. 因此，在不安全的便携式设备上进行PIN输入的问题将被避免而不是被解决。 Therefore, the issue PIN entered on the portable device unsafe to be avoided instead of being solved. 另一种已知方法公开于WO 2011/093998 Al中。  Another known method is disclosed in the WO 2011/093998 Al. 所公开的方法也是使用插入到设备中的基于加密狗的读卡机。 The disclosed method is based on the use of the dongle is inserted into the card reader device. 其不提供用于实现基于PIN授权的安全技术。 It does not provide security technology for implementing PIN-based authorization. GB 2416058 A公开了一种用于验证访问服务器的请求的方法。  GB 2416058 A discloses a method for requesting access authentication server. 响应于访问请求， 在安全服务器中的“组合生成器”生成随机字符串。 In response to the access request, the security server "Combiner" generates a random string. 然后，其使用随机字符串来生成从服务器向用户计算机发送的“图像数据”。 Then, it generates a random string using the "image data" transmitted from the server to the user computer. 然后，用户计算机上的小键盘根据图像数据进行修改。 Then, the keypad on the user's computer to modify the image data. 然后，用户使用在计算机上显示的修改后的小键盘输入他的PIN。 Then, using the modified user on a computer display keypad to enter his PIN. 与用户在键的网格中选择相关的位置数据(例如第一行第一列）作为用户的PIN记录被存储，然后位置数据由用户机器转换成字符数据，例如数字串，以形成被编码的PIN。 Selecting a location associated with the user data (e.g., the first row and first column) as a record is stored in the user's PIN, then the position data is converted into character data by the user machine, such as a digital string in the grid to form a bond encoded PIN. 然后被编码的PIN被发送到服务器进行验证。 Then the encoded PIN is transmitted to the server for authentication. 然而，被编码的PIN可以“通过已知的图像数据解码”一一第10页第22-23行。 However, the encoded PIN can be "decoded image data by known" eleven 10, line 22-23. 因此， 随着图像数据被存储在用户计算机中，如果用户机器的安全性受到威胁(例如被攻击，或被恶意软件感染），则可获得对图像数据的访问，从而实现第三方解码用户PIN。 Therefore, as the image data is stored in the user's computer, if the user's machine security threats (such as being attacked or infected with malware), then obtain access to the stored image data, enabling third parties to decode the user PIN. 因此，需要提供一种认证方法，这种方法不会使PIN在设备之间进行传输期间或者在验证过程期间临时存储在电子设备时易受未授权访问的访问。  Accordingly, a need to provide an authentication method which does not make the PIN during transmission between the access devices or susceptible to unauthorized access during the verification process when the electronic device is temporarily stored. •将不需要执行任何转换或编码算法（其会花费一段时间和处理开销，并且可以用来区分用户的PIN)。  • The need to perform any conversion or encoding algorithm (which will take some time and processing overhead, and can be used to distinguish the user's PIN). 现在已经设计有这种改进的解决方案，这种解决方案至少提供以上这些优点。  There have now devised such an improved solution, this solution providing at least these advantages. 因此，根据本发明，提供了一种如本文各种实施例中所要求保护的方法和系统。  Thus, according to the present invention, there is provided a method and system embodiments claimed herein A variety of embodiments. ii)屏幕的键盘区中可操作的小键盘。 Keypad  ii) a screen operable keypad. 为了便于参考，图像可称为“乱序小键盘图像”。  For ease of reference, the image may be referred to as "scrambled keypad image." 小键盘在具有本领域技术人对小键盘期望的功能性方面是可操作的。  In terms of functionality keypad skilled people having the keypad is operable desirable. 本领域技术人员将明白术语“小键盘”表示电子或机械的键的网格，每个键都具有至少一个与其相关联的标记，当用户选择键时，使相关联的标记被输入到设备或系统，用于存储和/或处理。 Those skilled in the art will appreciate that the term "keypad" means a mesh, electronic or mechanical keys, each key having at least one tag associated therewith, when the user selects a key, associated with the marking device is input to or system for storing and / or processing. 在本发明的背景下，小键盘是电子形式的小键盘。 In the context of the present invention, in the form of a keypad of an electronic keypad. 其可以被认为是“虚拟”的小键盘，因为其是机械小键盘的软件仿真。 It can be considered a "virtual" keypad, because it is a mechanical keypad emulation software. 它提供所有机械键盘的功能，包括用户可以选择以提供输入到基于计算机的系统的标记的键。 It provides all the mechanical keyboard functions, including a user may select to provide input to the key-based marker system of the computer. 小键盘可由电子设备生成或生成在电子设备上。  The electronic device keypad may be generated either on the electronic device. 其可以由过程调用生成。 It can be called by the process of generating. 该过程可设置在设备制造商提供的库中。 This process may be provided in a library provided by the equipment manufacturer. 通过对比，乱序小键盘图像是小键盘的表示。  By contrast, a keypad image is a scrambled representation of a keypad. 该表示可包括整个小键盘的表示或小键盘的至少一部分的表示。 The representation may include a representation of at least a portion or the entire keypad representation of the keypad. 它可描绘(表示、说明）一个或多个“键”。 It may depict (indicated below) one or more "keys." 图像可是电子形式的。 But the image in electronic form. 它可以是图形图像、光学图像、视频或某种其他形式的视觉表示。 It may be a graphical image, the optical image, a video, or some other form of visual representation. 它可以数字格式形成或存储在电子文件中。 It may be formed or stored in digital format in the electronic file. 这提供了这样的优点，即表示中的“键”的布局可在传输期间或当其在电子设备上显示时可不被可能截取到表示的未授权方轻易读取。  This provides the advantage that represents the layout "key" may be displayed or when it may not be on the electronic device may be intercepted by unauthorized parties to easily read the indicated during transmission. 乱序小键盘图像本身不是小键盘，因为它不含任何功能性。  The keypad scrambled image itself is not a keypad, because it does not contain any functional. 它仅仅表示的键的网格。 Grid bonds it only represented. 触摸、点击或以其他方式选择图像中所示的任何“键”，本身几乎不产生任何影响或生成输入。 Touching, clicking or otherwise selecting the image shown in any of the "key" itself has little or no effect generated input. 然而，应该注意的是，有时纯粹为了便于参考，乱序小键盘图像可称为“小键盘”、 “乱序小键盘”或“覆盖键盘”，因为在使用中它表观上起到小键盘的功能。  However, it should be noted that sometimes purely for ease of reference, the keypad image can be scrambled referred to as "keypads", "keypad disorder" or "cover the keyboard" because it is in use, from the apparent to function keypad. 也是仅为了便于参考，图像区可称为“键”，因为这正是用户表观看到和使用的。 Is the ease of reference only, the image region may be called a "key", since it is apparent the user to see and use. 但是，应当记住，这不是真实情况，并且图像实际上不是小键盘。 However, it should be remembered that this is not the real situation, and the image is not actually a keypad. 本发明可能够使用户经由用于显示乱序小键盘图像（屏幕）的相同的设备部件输入他的标识符。  The present invention enables the user to enter his identifier via the keypad for displaying a scrambled image (screen) of the same piece of equipment. 换句话说，屏幕可同时作为用于乱序小键盘图像的输出（显示)设备和用作用户的标识符可经由此输入的输入设备。 In other words, the screen can be simultaneously used as an output image is scrambled keypad (display) device and may be used as the identifier of the user input device thus input. 这与其中小键盘被显示在设备部件(例如屏幕)上而用户输入经由另一设备部件(例如键盘)被接收到的任何现有技术公开形成了鲜明对比。 Which with its small keypad is displayed on the device components (e.g., screen) and a user input component via another device (e.g. keyboard) to be received by any prior art is disclosed in stark contrast. 该特征的一个优点是它可实现用户的输入从图像映射到可以在用户的视图中至少部分隐藏的电子键盘，这样使得用户的输入在用户输入时被自动编码。  One advantage of this feature is that it can be realized from a user's input to the image map may be at least partially hidden in the user's view of the electronic keyboard, so that the user is automatically input when the user input encoded. 输入的自动编码意义在于电子设备可不需要转换、编码或以任何方式处理用户的输入。 Automatic coding meaning that the electronic device input may not require conversion, the encoding process or the user's input in any way. 小键盘可由在电子设备上执行的过程调用产生。 Process keypad can be executed on the electronic device invocation. 可操作的电子小键盘可称为“参考”或者“底层(underlying)” 小键盘，以便于参考。 An electronic keypad operable to be called the "reference" or "bottom layer (the underlying)" keypad, for ease of reference. 优选地，用户经由图像对小键盘的键的操作，生成了用户意图输入的编码版本。  Preferably, the image of the user via the keypad of the operation key, generating an encoded version of the user's intended input. 优选地，图像被显示在小键盘区域中，使得当用户触摸、点击或以其他方式标识图像中的位置，在该位置可操作的小键盘的键被激活以提供用户输入的编码版本。 Preferably, the image is displayed in keypad area, so that when the user touches, click, or otherwise identify the position in the image, the position of the operable keys of the keypad is activated to provide an encoded version of the user's input. 因此，用户的标识符经由图像被输入。  Thus, the user identifier is input via the image. 用户可选择图像的一部分，以输入标识符。 User may select a portion of the image, to input identifier. 图像部分可比拟或者描绘小键盘键。 Or comparable image portion depicting keypad keys. 因此，用户可通过图像操作小键盘。 Thus, the user can operate the keypad image. 优选地，图像用作遮罩或掩蔽重叠到小键盘上方，使得当用户触摸、点击或以其他方式标识图像中的位置时，它将操作或激活位于小键盘区中的该位置处的键。  Preferably, the image as a mask or a mask to a small overlap above the keyboard, such that when the user touches, clicks or otherwise identified in the image position, it is located at the operating position or to activate the keypad area key. 优选地，小键盘区和/或图像在用户输入标识符期间保持在屏幕上的固定位置。  Preferably, a small keyboard and / or the image position on the screen remains fixed during the user input identifier. 这点将本发明与其中按键或整个小键盘在验证期间在屏幕上移动的已知系统相区别开。 This is a key point of the present invention in which the whole or a keypad to move on the screen during the verification phase distinguished from known systems. 由于本发明的图像保持在固定位置，这提供了更易于使用并且要求电子设备更少的处理的解决方案。 Since the image of the present invention is held in a fixed position, which provides easier to use and requires less electronic device solution processing. 因此，从某种意义上说，本发明可视为能够将乱序小键盘图像“重叠”在“底层”小键盘上方，使得当用户经由覆盖的乱序小键盘图像输入他的输入时，将按照底层(优选不可见)小键盘的布局进行编码。  Thus, in a sense, the present invention can be regarded as the keypad can be scrambled image "overlap" above the keyboard in a small, "bottom", so that when the user via a keypad covered scrambled input image input his when the (preferably not visible) in accordance with the underlying keypad layout encoding. “底层”小键盘可视为在运行时间中在设备的易失存储器中生成和存在的对象，以提供一种常规机械小键盘的模型。  "bottom" may be regarded as a keypad, and the presence of object generation device in volatile memory at run time to provide the model of a conventional mechanical keypad. 因此，本发明提供了这样的优点，即用户的“真实”标识符从来不会储存在设备中， 并且不会为验证而被传递。  Accordingly, the present invention provides the advantage that the user's "real" identifier never stored in the device, and will not be passed verification. 因此，用户的标识符不能由任何潜在的拦截器在不知道覆盖图像和底层功能小键盘之间的映射的情况下而推导出。 Thus, the identifier of the user can not any potential interceptor does not know the mapping between the cover and the underlying image features keypad case deduced. 优选地，覆盖图像和底层小键盘之间的映射，不存储在电子设备中，或可由电子设备推导出。  Preferably, the cover image and the mapping between the underlying keypad, not stored in the electronic device, the electronic device or may be deduced. 两组“键”的位置之间的映射(或相互关系)可存储在远离电子设备的服务器上。 Mapping between the position of the two "keys" (or relationship with each other) may be stored on a server remote from the electronic device. 优选地，乱序小键盘图像可从基于远程计算机的资源发送到电子设备。  Preferably, the image may be out of sequence from the keypad to the electronic device based on the remote computer resources. 资源可以是服务器。 Resource can be a server. 因此，乱序小键盘图像可以不在电子设备上生成。 Thus, the keypad scrambled image may not be generated on the electronic device. 乱序小键盘图像的版本可以存储在服务器上。 Scrambled keypad version of the image can be stored on the server. 该版本可以是乱序小键盘图像符号（“键”）的顺序的记录。 This version may be recorded scrambled keypad graphic symbol ( "key") in order. 小键盘区可以是屏幕的限定区或部分。  The keypad may be a defined region or area of ​​the screen part. 因此，小键盘区可占据整个屏幕区或屏幕的部分。 Therefore, a small keyboard may occupy the entire screen area or part of the screen. 乱序的小键盘图像可以被显示，使得它完全地、准确地或部分地覆盖小键盘区。 Scrambled keypad image can be displayed, so that it is completely and accurately or partially cover the keypad region. 优选地，底层小键盘被至少部分地从视野中隐藏起来，使得用户不能看到小键盘的至少一些键。 Preferably, the bottom of the keypad is at least partially hidden from view, so that the user can not see at least some of the keys of the keypad. 标识符可以是个人识别代码。  The identifier may be a personal identification code. 其可以是PIN (个人标识码）。 It may be a PIN (personal identification number). 其可包括任意数量、类型或组合的符号或标记(如上所述）。 Which may include any number, type or combination of signs or symbols (as described above). 标识符可由用户在执行本发明所要求保护的方法之前预先选择。 By the user identifier prior to performing the method according to the present invention as claimed preselected. 标识符可远离电子设备进行存储，例如，存储在服务器上。 The identifier may be stored remote from the electronic device, e.g., stored on the server. 乱序小键盘图像和/或小键盘可包括数值数字、字母字符、标点符号、符号或其他任何标记、或它们的组合。 Scrambled image keypad and / or numeric keypad may comprise numeric, alphabetic characters, punctuation marks, symbols or any other marking, or a combination thereof. 一个或多个符号可与每个键相关联。 One or more symbols may be associated with each key. 优选地，用户可以能够在乱序小键盘图像中选择多个“键”，以输入包括多于一个符号的标识符。  Preferably, the user may be able to select a plurality of "key" in the scrambled image keypad to input comprises more than one symbol identifier. 乱序小键盘图像可相对于参考小键盘乱序。  scrambled keypad image relative to the reference keypad scrambled. 小键盘图像可以描绘包括多个相邻键的块或网格。 The keypad image may comprise a plurality of drawing blocks or grid adjacent keys. 其可以是“乱序的”，在这个意义上，在“键”上的符号并不以顺次顺序和/或并不以预期的顺序，可能参考参考小键盘。 Which may be "scrambled" in this sense, the symbol "key" is not in sequential order and / or are not in the expected order, the keypad may refer to the reference. 乱序可根据随机生成过程、或近似随机过程的过程。 Scrambled random generation process, random process or similar process. FIG. 参考小键盘可以是在小键盘区内可操作的小键盘，或与标准生产、型号、类型的电子设备相关联的默认小键盘。 Reference keypad may be a keypad operable keypad area, or standard, model, type of electronic device associated with the default keypad. 因此，相同的标记可以出现在底层小键盘和乱序的小键盘图像中，但它们被设置在不同的位置。  Accordingly, the same marker can appear in the keypad and keypad underlying image scrambled, but they are provided at different positions. 从另一个角度来说，参考小键盘中的键的顺序与乱序图像的是不同的。 From another perspective, the sequence scrambled with the reference image keypad keys are different. 乱序小键盘图像可提供与和电子设备相关联的默认小键盘相同的“外观和感觉”，但提供的“键” 在不同的相对位置。 Scrambled image may be provided with a keypad and an electronic device associated with a default keypad same "look and feel", but different relative positions to provide the "key" on. —个、一些、或所有的“键”在乱序小键盘图像中的各个位置可与在底层小键盘中的相同的键的位置不同。  - various positions, some, or all of the "key" keypad disorder in the image may be different from the same position in the underlying keys of the keypad. 用户可经由乱序小键盘图像，通过与显示在屏幕上的“键”进行交互来操作低层小键盘的键。  the user via a keypad image is out of order, by interacting with the display on the screen, "key" to the low-level operation of the keypad keys. 例如，用户的输入可由用户通过触摸屏幕（用手指或其他设备)或者通过使用例如鼠标或轨迹球的指针设备选择所需的“键”来输入。 For example, a user's input by a user through a touch screen (with a finger or other device), or mouse or a trackball pointing device to select the "key" input by using, for example. 其他选择方法可用于产生类似的作用，因此也落入本发明的范围。 Other selection methods may be used to produce a similar effect, and therefore also fall within the scope of the invention. 小键盘区的位置和/或尺寸可以通过过程调用或方法调用来指定。  The position and / or size of the keypad area or the call may be specified by the process of method invocation. 优选地，小键盘区包括多个子区或“热点”。  Preferably, the keypad comprises a plurality of regions or sub-regions, "hot spots." 在乱序小键盘图像和/或小键盘中的至少一个“键”的位置可对应于子区的位置，使得可在乱序的小键盘的“键”和小键盘和/或多个子区的键之间具有映射。 The scrambled image keypad and / or position at least one of a keypad position "key" may correspond to a sub-area, such that "button" and a keypad and / or more sub-regions of disorder of the keypad It has a mapping between the key. 期望的是映射不可由电子设备推导或得到。 Derived mapping is not desirable or obtained by the electronic device. 热点可位于乱序小键盘图像的按键之下。 Hot spots may be located below the scrambled image keypad keys. (底层）小键盘可在用户选择每个键后乱序。  (the bottom of) the keypad may be out of order after the user selected each key. 因此，不同的乱序底层小键盘可用于用户的输入的每次键击。 Thus, different underlying disorder may be a keypad for input of a user each keystroke. 优选地，乱序小键盘图像是由电子设备从远离电子设备放置的基于计算机的资源(例如，服务器)接收到的。  Preferably, the image is scrambled keypad placed on the receiving computer's resources (e.g., server) by the electronic device remote from the electronic device. 其可相对于对图像的请求从服务器被发送到电子设备，请求从设备发送到服务器。 Movable relative to the image request is sent from the server to the electronic device, request from the device to the server. 乱序小键盘图像可由服务器生成。 The keypad scrambled image generated by the server. 优选地，乱序小键盘图像是预生成的。  Preferably, the keypad disorder is pre-generated image. 在一个实施例中，这可意味着它是先于来自电子设备的请求生成，而不是响应于来自电子设备的请求生成。 In one embodiment, this may mean that it is the first request from the electronic device generates, rather than in response to a request from the electronic device generated. 图像可在执行验证方法之前产生。 The image may be generated before performing verification method. 用户的输入(标识符)的编码版本可从电子设备发送到基于计算机的远程资源。  User input (identifier) ​​of an encoded version of the electronic device to be transmitted from the remote computer-based resources. 该资源可以是服务器。 The resource can be a server. 优选地，服务器接收用户的输入的编码版本并对其进行处理。 Preferably, the server receives the encoded version of the user's input and processed. 处理可提供用户所输入的标识符的解码版本。 Processing may provide decoded version identifier entered by the user. 因此，用户的“真实”标识符可不被发送。  Thus, the user's "real" identifier is not transmitted. 只有被编码的版本可被发送，这对不知道乱序小键盘图像中的“键”和底层小键盘中的键之间的映射的未授权方来说可能是无意义的。 Only the encoded version may be sent, it may be meaningless to unauthorized party does not know arbitrary mapping between the keypad image sequence "key" and the underlying keys for keypad. 可以使用乱序小键盘图像的存储形式或版本来执行解码。  The decoding may be performed using the keypad scrambled image stored form or version. 键的配置的存储形式或版本可以是文件名。 Storage form or version of the configuration key can be a file name. 解码步骤可提供用户输入的解码版本。 Decoding step provides a decoded version of the user input. 因此，用户的“真实”标识符可通过将编码版本中的每个符号转换成其在乱序小键盘图像中对应的符号来产生。 Thus, the user's "real" by converting the identifier may be encoded version of each symbol in the symbol corresponding to the scrambled image to generate a keypad. 可将用户的解码输入与标识符的存储版本进行比较。  The decoding may be stored version identifier of the user input is compared. 如果输入与存储的标识符相匹配，则用户的输入可被认为是正确的。 If the input matches the stored identifier, the user input can be considered correct. 将所选择的乱序小键盘图像的副本发送到电子设备。  The keypad scrambled copies of the selected image is transmitted to the electronic device. 在进行选择之前，从多个乱序小键盘图像中移除至少一个乱序小键盘图像。  Prior to selection, removed from the plurality of scrambled image of at least a keypad disorder keypad image. 在发送副本到电子设备之后，从多个乱序小键盘图像中移除所选择的乱序小键盘图像。  After transmitting the copy of the electronic device, removable keypad disorder selected from a plurality of image disorder image keypad. 从多个乱序小键盘图像中移除具有与参考小键盘的相同的键在相同位置上至少一个的键的任何乱序小键盘图像。  The keypad of any scrambled image having removed from a plurality of reference keypad disorder keypad keys same image at the same position of the at least one key. 优选地，键在乱序小键盘图像的位置在用户的标识符的输入期间相对于彼此保持不变。  Preferably, the position of the key image disorder keypad input during a user identifier with respect to each other remains unchanged. 这与现有技术的装置对比，在现有技术的装置中，用户选择每个键之后和/或每个验证会话之后，向用户显示的键位置和/或顺序可乱序或重新排列或在屏幕上移动。 After this comparison with the prior art devices, the devices of the prior art, after each user selected key and / or verification session key position displayed to the user and / or the order may be rearranged or scrambled or on mobile screens. 优选地，乱序小键盘图像中的至少一个键的符号被至少部分遮蔽或模糊化但保持用户可读。  Preferably, a keypad image scrambled symbols of at least one key is at least partially obscured or obscuring the user but remains readable. 这可能对使用OCR软件读取表示困难有好处。 This may indicate difficulty beneficial to use OCR software to read. 这增强了系统和方法的安全性。 This enhances the security of the system and method. 电子设备可以是移动电话、PC、平板计算机、笔记本电脑、PDA、读卡终端或其他具有屏幕的电子设备。  The electronic device may be a mobile phone, PC, a tablet computer, a notebook computer, PDA, or other electronic reader terminal device having a screen. 电子设备可以能够通过无线或固定线路支持通信协议，比如TCP/IP，但是也可支持其他协议，比如蓝牙、RS232等。 The electronic device may be capable of supporting a wireless or fixed line communication protocols such as TCP / IP, but may also support other protocols, such as Bluetooth, RS232 and the like. 设备(例如移动电话)和基于计算机的资源（例如服务器)之间的通信可经由固定电信线路或经由移动电信/wifi等连接-基本上可以使用任何基于IP的设备。  between the devices (e.g., mobile telephones) and computer-based resources (e.g., server) may or via mobile telecommunications / wifi the like via a fixed telecommunications line - can be substantially any IP-based device. 乱序小键盘图像可经由web浏览器、或嵌入在浏览器中的应用、或独立的软件应用、和/或提供图形用户界面的应用来显示，以允许用户能够与乱序小键盘图像互动。  scrambled keypad image via the web browser, or embedded in a browser application, or stand-alone software applications, and / or application to provide a graphical user interface displayed to allow the user to interact with scrambled keypad image interaction. 优选地，定位乱序小键盘图像的标记和底层小键盘之间的映射关系被远离设备进行存储，通常在远离设备的基于计算机的资源中。 Mapping relationship between the  Preferably, the image positioned out of order marks a keypad and a keypad is away from the underlying storage device, usually away from the resources of the computer-based devices. 为了增强安全性，乱序小键盘图像可在被发送到电子设备之前被重命名和/或被加密。  To enhance security, the keypad scrambled image may be renamed and / or encrypted before being sent to the electronic device. 这提供了防止或至少阻止第3方(诸如恶意软件)截取和解码标识符的好处。 This provides the benefit of preventing or at least prevent a third party (such as malware) intercept and decode identifier. 方法还可包括以下步骤:将指示符输送给用户，以确认乱序小键盘图像由合法资源提供。  The method may further comprise the steps of: conveying an indicator to the user to confirm the keypad scrambled images provided by a legitimate resource. 指示符可以是“水印”。 Indicator can be "Watermark." 指示符可以是文本消息、图像、视频、声音、振动或其他触觉指示。 Indicator can be a text message, image, video, sound, vibration or other tactile indication. 指示符可已经由用户选择。 Indicator may have been selected by the user. 优选地，乱序小键盘图像在用户的输入之后或一段特定时间之后将从电子设备中擦除。  Preferably, the keypad scrambled image after the user's input or after a certain time erased from the electronic device. 如果用户在输入标识符时发生错误，新的（即不同的）乱序小键盘图像可被发送给设备。  If an error occurs when the user inputs the identifier, a new (i.e., different) scrambled keypad image can be sent to the device. -比较所输入的PIC的解码版本和预先存储的PIC。  - PIC PIC comparing the decoded version of the input and stored in advance. -发送所输入的PIC的编码版本到基于计算机的资源用于解码，使得所输入的PIC 的解码版本可与预先存储的Pic比较。  - transmitting the encoded version of the PIC for decoding an input to computer-based resources, such that the PIC decoded version of the input can be compared to previously stored Pic. -使用基于计算机的资源来对编码版本解码，以提供所输入PIC的解码版本，并将其与预先存储的PIC比较。  - to use the resources of the computer-based encoded version of the decoded to provide a decoded version of the input of the PIC, and compared with pre-stored PIC. 使用户能够通过经由在与电子设备相关联的屏幕的小键盘区中呈现给用户的乱序小键盘，选择至少一个键来输入标识符。  enables the user to be presented to the user via the keypad scrambled screen associated with the electronic device keypad area, selecting at least one input key identifier. 根据本发明的另一个方面，提供了一种设置和配置为执行上述方法的任何实施例的计算机实现的系统。  According to another aspect of the invention, there is provided a system for setting up and configuring a computer-implemented embodiment to execute any of the methods described above. -方便用户进行安全的CNP交易。  - CNP transaction convenient user security. 参考本文描述的实施例，本发明的这些和其他方面将变得明显并得到了阐述。  Example embodiments described herein with reference to, these and other aspects of the invention will become apparent and has been described. 图1至图4示出的是根据本发明可以生成的各种类型的小键盘的一些示例。  Figures 1 to 4 are shown some examples of the present invention can produce various types of keypad. 图5示出的是根据本发明的示例性实施例的乱序小键盘表示的生成。  FIG. 5 shows a scrambled generates a keypad according to an exemplary embodiment of the present invention. 图6示出的是根据本发明的注册过程。  FIG. 6 shows a registration procedure according to the invention. 图7示出的是为注册设备创建的示例性自定义小键盘数据库。  FIG. 7 illustrates exemplary apparatus creates registered custom keypad database. 图9和图10示出的是根据本发明的实施例的示例性的安全交易应用过程的概观图。  FIGS. 9 and FIG. 10 shows a overview diagram of a secure transaction application process of an exemplary embodiment of the present invention. 图11示出的是根据本发明实施例的示例性的“标准”小键盘。  FIG. 11 shows a exemplary "standard" keypad according to an embodiment of the present invention. 图12a，图12b和图12c示出的是适于重叠在图11的标准小键盘上方的乱序小键盘图像的示例。  FIGS. 12a, 12b and 12c show an example of a scrambled image of a keypad superimposed over the standard keypad 11 is adapted. 图13示出的是重叠在设备的标准(参考)小键盘顶部之上的乱序小键盘图像。  FIG. 13 is shown superimposed on top of standard equipment (reference) keypad scrambled keypad image. 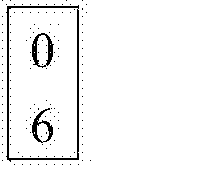 图14a示出的是现有技术中所知的标准数字键面板。  Figure 14a shows a known prior art standard digital key panels. 图14b示出的是现有技术中所知的移动电话上的数字小键盘。  Figure 14b shows a numeric keypad on the prior art known to the mobile phone. 图15a示出的是在应用水印之前预先生成的小键盘图像。  FIG. 15a shows a pre-generated before applying watermarks keypad image. 图15b示出的是设置在小键盘区的左下角中的具有水印的图15a的小键盘图像。  Figure 15b shows a keypad disposed on the lower left region in FIG. 15a having a keypad image watermark. 图15c示出的是图15b的小键盘图像，但它所具有水印在不同的位置(左下）。  FIG 15c is shown in FIG. 15b, a keypad image, but it has a watermark at different positions (bottom left). 图15d示出的是具有用作背景中的水印的摄影图像的图15a的小键盘图像。  FIG. 15d shows an image of a keypad of FIG. 15a having a watermark as the background of the captured image. 图16a至图16e示出的是根据4个不同的数值序列中生成的不同的乱序小键盘图像。  Figures 16a to 16e shows a scrambled according to different keypad images of four different numerical sequence generated. [0M1]图17示出的是具有字母和数字键组合的乱序小键盘图像。 [0M1] FIG. 17 shows a scrambled image having a keypad key combinations of letters and numbers. 图18示出的是三个分图像，其当以快速连续的方式重复示出时，形成明显静态的可识别的图像。  FIG. 18 shows a three partial images, which, when repeated in rapid succession in the manner shown, to form an image clearly recognizable static. 图19示出的是本发明如何在金融交易处理系统中实现的示例。  FIG. 19 illustrates an example of how the invention is implemented in a financial transaction processing system. 转向附图，现在将描述与移动电话的使用相关的示例性实施例。  Turning to the drawings, exemplary embodiments related to the use of the mobile phone will now be described. 然而，本发明可用于在各种不同类型的设备上执行PIN验证，假定设备具有一定的处理能力和用于显示小键盘的屏幕。 However, the present invention may be used to perform PIN verification on a variety of different types of devices, some devices have assumed and processing capability for displaying a keypad screen. 示例实施例还涉及金融交易相关的使用。  Example embodiments also relate to financial transactions related to the use. 本发明的一种应用是适合于在线银行的应用。 One application of the present invention is suitable for online banking application. 然而，领域技术人员很容易理解的是，本发明也可采用于其他设置中以及用于非金融目的。 However, those skilled in the art will readily appreciate that the present invention may be used in other settings as well as for non-financial purposes. 本发明并不限于商业或商业用途。 The present invention is not limited or commercial purposes. 重要的是，本发明可用于在允许个体访问某些受控资源之前要求验证个体身份的任何情况。  Importantly, the present invention can be used in any case prior to allow individuals access to some of the controlled resource request verification of the identity of the individual. 受控资源可以是任何类型的资源。 Controlled resource can be any type of resource. 其可以是在金融帐户上的资金设置。 Which may be set up funds in the financial account. 同样，其可以是建筑物、计算机系统、病人的病历、服务等等。 Similarly, it may be a building, computer systems, patient records, service and so on. 例如，其可用于门锁上密码的验证，以建立允许进入建筑物之前进行的认证。 For example, it can be used to verify a password to lock the door to the establishment of certification carried out before allowed to enter the building. 值得注意的是，以下描述的财务导向的应用是可以实现本发明的一个用途。  It is noted that the financial oriented applications described below are a use of the present invention may be implemented. 用于示例的目的选择该用途，是因为芯片和PIN验证可能是最广为所知的基于代码的验证的使用，并因此最容易被本文的读者认识。 Selected for purposes of illustration the use, because the chip and PIN verification is probably the most widely known of the use of code-based validation, and therefore most likely to be recognized herein reader. 然而，本领域技术人员将理解，本发明并不限制本发明可最终投入使用的环境或背景方面。 However, those skilled in the art will appreciate that the present invention is not intended to limit the present invention may be put into a final environment or context of the use. 同样值得注意的是，本发明并没有构成用于执行交易本身的意义。  It is also noteworthy that the invention does not constitute a meaning for executing the transaction itself. 其是一种用于对请求访问受控资源的个体的身份进行认证的验证工具。 It is a tool to verify the identity of individuals requesting access to controlled resources for authentication. 其并不主导在建立认证之后如何进行访问，也不主导在成功验证之后的任何其他操作或可能交易如何进行。 It is not how dominant access after the establishment of certification, nor any other leading operating or how the transaction might after successful validation. 下面描述的示例性实施例的本质上通过创建乱序形式的小键盘（可替换地称为“PIN pad”）的图像来进行操作。 Image  Essentially the exemplary embodiment described below, by creating a scrambled version of the keypad (alternatively referred to as a "PIN pad") to operate. 乱序小键盘图像被发送，用以呈现或显示于目标电子设备1 上，供用户查看。 The keypad scrambled image is sent to the target presented or displayed on the electronic device 1, for users to view. 在该示例中，目标设备是移动电话1，如图6所示。 In this example, the target device is a mobile telephone 1, as shown in FIG. 乱序小键盘图像设置成类似于用于设备的标准、默认的小键盘。  scrambled image is set as a standard keypad for similar devices, the default keypad. 每个品牌和/或型号的设备通常具有其自己风格的默认小键盘，这些小键盘自身的风格可以与其他的设备相关的默认小键盘相比，具有不同的布局、符号、尺寸、颜色等。 Each brand and / or model of device typically has its own default style keypad, it can be associated with other devices default keypad compared to their own style of these small keyboard with a different layout, symbols, size, color and so on. 默认的小键盘通常通过过程调用在移动电话上生成并显示，过程调用指定用于该设备的小键盘的格式和其将要在屏幕上何处显示。 The default keypad procedure call typically by generating and displaying on the mobile phone, the keypad procedure call format specified for the device and where it will be displayed on the screen. 默认的小键盘是占用屏幕上的特定区的网格，即它在指定的位置显示。 The default keypad is occupied by a specific area on the screen grid that it appears in the specified location. 它是电话的屏幕上的预定区或部分(本文称之为“小键盘区”）。 It is a portion or a predetermined region (referred to herein as "small keyboard") on the screen of the phone. 小键盘区划分子区，其中，每个子区表示默认键面板中的键。 The keypad region division molecules, wherein each sub-field indicates the default key in the key panel. 该另一种说法是，每个子区与特定符号相关联。 Another way of saying this is that each sub-section associated with a particular symbol. 每个键的符号显示用于用户在其相应子区位置的屏幕上查看。 Each symbol keys for the user to view the display on the screen of their respective sub-area location. 因此，如果用户选择(例如触摸或点击)指定到特定子区的区域，则与该键相关联的符号被记录。 Thus, if the user selects (e.g., touching or clicking) assigned to a particular sub-region of the region, the symbol of the key is recorded associated. 在这种方式中，小键盘用作由软件电子生成的机械小键盘的虚拟形式，来检测用户在限定的屏幕区中输入的位置，并使用其生成输入数据而不是使用物理上可按压的键。 In this manner, the keypad as generated by the software virtual keypad electromechanical form, detects the position of the user input in a defined area of ​​the screen, and used to generate input data instead of using a physically depressible key . 这样的虚拟小键盘，每个子区实质上是屏幕上的“热点”，并且多个热点彼此相邻组合形成小键盘。  Such virtual keypad, each sub-section is substantially "hot spots" on the screen, and the plurality of hot spots adjacent to each other are combined to form a keypad. 在本实施例中，电话的默认小键盘2设置成3X4栅格的按键，每个按键4具有与其相关联的符号。 In the present embodiment, the telephone keypad default 3X4 grid 2 disposed keys, each key having 4 symbols associated therewith. 在这种情况下，符号包括数值数字。 In this case, the value of the digital symbol comprises. 每个按键4是屏幕的“热点”区域， 每个热点与虚拟小键盘中的符号相关联。 Each key is a 4 "hot spot" region of the screen, a virtual keypad with each hotspot is associated with a symbol. 与智能电话一起使用的默认小键盘2的广为所知的样式的示例如图11所示。 Example  for use with a smart phone keypad default widely known pattern 2 as shown in Fig. 默认小键盘2在目标设备1本身上生成一一其不从位于远端的服务器发送到设备1。 The default keypad 2 itself on the target device 1 generates eleven it is not transmitted from the remotely located server to the device 1. 然后标准小键盘2被发送到手机上并在屏幕上小键盘区显示的乱序小键盘图像3 “重叠”。  Then standard keypad out of order 2 is transmitted to a keypad and a keypad area image displayed on the screen on the phone 3 "overlap." 该重叠通过在小键盘显示区中显示乱序小键盘图像来实现，使得乱序“键”的位置对应于默认的小键盘中热点的位置。 The overlay keypad displayed by the keypad scrambled image area is achieved, so that the scrambled position "key" corresponds to the default focus position keypad. 两个小键盘上的对齐使得乱序小键盘图像仅被用户所见，并且底层的可操作小键盘被图像至少部分地(但优选是全部地)隐藏。 Aligned so that the two keypads keypad scrambled image is only seen by a user, and the underlying image of a keypad operable at least partially (but preferably all the) hidden. 因此，对于用户来说，除了键具有相对彼此在不同位置之外，只有一个小键盘看起来完全像用户期望的小键盘。 Thus, for the user, in addition to a relatively outside key different positions, only it looks exactly like a keypad, a keypad user desires to each other. 因为用于移动电话的默认小键盘是针对乱序小键盘被参考的“规范”，其可称为“参考小键盘”。  Since the default keypad for a mobile phone is out of order for the keypad to be referred to "standard", which may be referred to as "Reference keypad." 图12a、图12b和图12c示出了适用于覆盖在图11的标准小键盘2的顶部之上的小键盘图像3的示例。  FIGS. 12a, 12b and 12c show an example of an image adapted to cover a keypad on top of the standard keypad 11 of FIG. 2. 3. 乱序小键盘作为图像被发送到电话。  The keypad as scrambled image is sent to the phone. 可选地，其可作为视频文件被发送，这将在下文中进一步更详细地描述。 Alternatively, it may be sent as a video file, which will be described in more detail further below. 图片、视频或图像3可称为“表示”，因为在某种意义上说，其表示物理(可按压)小键盘。 Pictures, video or image 3 can be called "mean", because in a sense, it represents the physical (can be pressed) keypad. 乱序小键盘图像3已预先生成（S卩，在初始化验证过程之前）。  scrambled image keypad 3 has been previously generated (S Jie, before initiating the authentication process). 其是从一组预先生成的乱序小键盘表示中随机选择出的，并且然后通过电信网络发送到手机(即移动电话)1。 Which are randomly selected from a group represented keypad disorder created in advance, and then sent to a mobile phone (i.e. mobile phone) via a telecommunication network. 图3的乱序小键盘图像是默认的小键盘布局2的表示。 FIG scrambled image keypad 3 is represented by the default keypad layout 2. 默认的小键盘2和乱序小键盘图像3之间的区别是相应按键4的顺序不同。 The difference between the default 3 and the keypad 2 is scrambled keypad image of a corresponding key 4 in a different order. 换句话说，相同的数字出现在每个小键盘中，但至少两个处于小键盘网格中的不同位置。 In other words, the same number appears in each keypad, but at least two different positions in the keypad grid. 该小键盘表示3被生成为具有与默认小键盘完全相同的尺寸，使得其可完全将小键盘重叠。  indicates that the keypad 3 is generated to have a default keypad same size, so that it may completely overlap the keypad. 因此，移动电话用户（客户）只看到一个无缝的小键盘。 Therefore, mobile phone users (clients) only see a seamless keypad. 用户不知道在背景中、在他看到并使用以用于键入他的输入的小键盘表示后面已经生成的底层小键盘2的存在。 The user does not know in the background, in order to see and use his keypad to enter his input has been generated indicating the presence of the back bottom 2 of the keypad. 图像与一个或多个指令一起被发送到用户设备以请求或调用用于生成底层小键盘所必需的程序。 Image and one or more instructions are sent together to the user equipment to request or invoke the underlying keypad for generating programs necessary. 随机选择的乱序小键盘图像3被有效地覆盖到电话的默认的小键盘2上，使得在用户输入他的PIN时，设备中生成结果不同于用户意图输入或至少认为他正在输入的结果。  randomly selected out of sequence image keypad cover 3 is effectively default phone keypad 2, such that when the user inputs the PIN of his, other than the user device generates a result that is intended to enter, or at least he is input the result of. 这是由两个小键盘2,3上的不同位置的键4之间关系（映射)的结果而导致的。 This bond is a relationship between two different locations on the keypad 2, 3 4 (map) the result caused. 用户在特定位置触摸屏幕，以输入上覆的乱序小键盘图像3中所示的数字，但是这被解释为在该子区的底层小键盘2中的数字。 The user touches the screen at a specific position, out of order on the keypad of the input digital image overlying shown in Figure 3, this is interpreted as a number in the sub-region underlying the keypad 2. 随着用户输入顺次的输入，其对应的底层符号被连接到先前的输入，以构成完整的PIN。 Sequentially input as the input of the user, the corresponding symbol is coupled to the underlying previous input, to form a complete PIN. 以此方式，用户的PIN的编码版本基于用户经由乱序小键盘表示3选择的隐藏键4 的位置而产生。  In this manner, PIN encoded version of the user based on the user indicates the position selected by the hidden key 3 4 via a keypad to generate scrambled. 如果用户出现错误，则新的(不同的)小键盘表示3被发送到设备1。 If a user error occurs, a new (different) represents keypad 3 is transmitted to the device 1. 因此，用户认为他正在输入的PIN不是被软件记录保留在用户电话上的PIN。  Thus, the user PIN think he is not being input PIN records retention software on the user's phone. 用户的“真实”PIN从不存储在不安全的电话1上，并且不会通过任何(不安全的）网络进行发送。 Users of the "real" PIN is never stored on insecure phone 1, and will not transmit any (unsecured) network. 只有编码版本被存储、被发送。 Only encoded version is stored, it is sent. PIN的编码版本可在发送之前加密，以进一步增强安全性。 Encoded version of the PIN can be encrypted before being sent to further enhance security. 因此，任何拦截器将不能在不知道每个小键盘中的键的位置如何映射到彼此的情况下解码、 猜测或转换真实PIN。 Therefore, any interceptors will not be without knowing how each keypad key locations mapped to decode each other under the circumstances, speculation or convert real PIN. 在本实施例中，解码过程由本发明“知道”这两种小键盘的键的布局的组件来处理，并且因此能够将编码的数字转回到它们的原始副本，因此获得用户期望的输入。  In the present embodiment, the decoding process of the present invention "knows" the layout of the components of these two key keypad to handle, and it is possible to encode digital copy back to their original, desired by the user is thus obtained input. 然后为验证的目的，将破译的PIN与用户先前存储的PIN比较。 Then for the purpose of verification, the user can decode the previously stored PIN with the PIN comparison. 在示例性的实施例中，乱序小键盘图像3在其被发送给电话1之前进行加密。  In an exemplary embodiment, the image disorder keypad 3 is encrypted before it is sent to the telephone 1. 到达电话1后，其被加载到设备1上的存储器中安全的或受保护的部分（或至少尽可能被保护的）。 Upon arrival phone 1, which is loaded into memory on the device in a safe or protected portion (or at least possible to be protected). 换句话说，本发明将使用所有常用的安全特征，如同顾客真实PIN已经被输入(而不是转换形式）。 In other words, the present invention will use all customary security features, as true customer PIN has been entered (but not converted form). 这提供了另一层安全和保护。 This provides another layer of security and protection. 现在将更详细讨论与本发明可以投入使用的一种方式相关的本发明的这些方面。  Now the present invention will be discussed in detail to the aspects of the invention can be put into a correlation method used. “PIN Pad的产生程序”6负责生成用于整个系统的所有的乱序小键盘图像3。 All keypad scrambled image  "PIN Pad generation program" 6 for the entire system is responsible for generating 3. 图5中示出了本发明的这方面的概观图。 FIG. 5 shows a general view of this aspect of the present invention. 如果使用简单随机的乱序小键盘，则存在一个或多个键可不被定位乱序的风险。  If a simple random scrambled keypad, there may not be one or more bonds positioned scrambled risk. 这可借助标准和乱序PIN上相应位置上用户输入PIN的一个或多个键。 This means the user can enter a PIN or more keys of the respective standard positions and scrambled PIN. 这是不理想的。 This is not ideal. 相应地，在PIN pad图像生成期间，具有一个或多个位置对应于标准小键盘的键的乱序键盘图像将被舍弃。  Accordingly, during the image generated PIN pad, having one or more positions corresponding to the standard keypad keys of the keyboard image disorder will be discarded. PIN pad的产生因此优选地不是纯随机的，而是经历选择过程，以根据特定的标准选择/舍弃。 PIN pad so produced is preferably not purely random, but through the selection process, in accordance with certain criteria to select / discard. PIN pad (图像)在安全环境中进行生成，通常符合支付卡行业数据安全标准。  PIN pad (images) were generated in a secure environment, usually in line with the Payment Card Industry Data Security Standard. 在特定目标设备1上使用之前必须首先建立输出分辨率和文件类型(在该情况下， 是移动电话的类型）。  must first be established before the output resolution and file type for use on a particular target device (in this case, is the type of mobile telephone). 这确保了输出的图像是被生成用于该设备的最佳分辨率例如256 X 184 的。 This ensures that the output image is generated for the best resolution of the apparatus, for example, a 256 X 184. 然后选择与上述设置的分辨率相匹配的主“背景图像”7,并且选择包含用于最后的小键盘图像的所有需要的数字(键）的排列的“排列文件”5。  and then select the resolution set as described above to match the master "background image" 7, and selects "ArrangementFile" includes all numbers (keys) for the final image desired keypad arrangement 5. 在一个实施方式中，文件5必须是以逗号分隔的文本文件，其中每个排列在新的一行。 In one embodiment, the file 5 must be a comma-delimited text file, each arranged on a new line. 然而，可以设计各种实现方式以获得相同的效果。 However, various implementations can be designed to achieve the same effect. 例如，每个排列可以被#或*分开。 For example, each can be arranged separately # or *. 然后，使用用户选择的字体类型、大小和颜色“排列文件“5与“背景图像”7合并以生成完整的小键盘图像3。  Then, using the user selected font type, size, and color "ArrangementFile" 5 "background image" 7 combined to generate a complete image of a keypad 3. 然后对完整的小键盘图像3进行优化并减小尺寸到尽可能小，以达到最佳传输速度。 Then the complete keypad 3 optimize the image and reducing the size as small as possible, in order to achieve the best transmission rate. 除了如图1、图5、图9、图11、图12和图13中所示的标准单色小键盘，背景图像7都是可设置的。  In addition to FIG. 1, 5, 9, 11, standard monochromator shown in FIG. 12 and FIG. 13, a keypad, a background image 7 are settable. 例如，背景的颜色和/或默认字体的类型、大小和颜色可以改变，使得可以生成小键盘的无受限制的数据库，以用于每种类型的屏幕和设备。 For example, the color of the background and / or default font type, size and color can be changed, making it possible to generate not restricted keypad database, for each type of device and the screen. 在一些实施例中，广告、教育消息或其他内容可以结合在所呈现的图像中。  In some embodiments, advertisements, educational information or other content can be incorporated in the image presented. 这些小键盘图像可采用特殊字体或颜色，以使例如阿拉伯语的任何特定地方的字符能够被使用，并且保证图像不能被未授权光学字符识别（OCR)程序读取(从而增强安全性)。  These small keyboard image by using a special font or color, so that for example characters of the Arabic any particular place can be used, and the image can not be guaranteed unauthorized optical character recognition (OCR) program reading (to enhance security ). 产生的每个小键盘图像也被给定唯一文件名并对所有已经产生的小键盘图像创建主索引。  Each keypad image produced is also given a unique file name and all the small keyboard image that has been generated to create the main index. 当乱序小键盘图像被发送到设备时，该图像的文件名的副本被暂时存储。 When the scrambled image is sent to a keypad device, a copy of the image file name is temporarily stored. 该文件名包含在小键盘图像中的键的顺序。 The file name contains a keypad image sequence keys. 这能够使乱序小键盘图像和参考小键盘之间的映射被记录。 This enables the scrambled keypad mapping between the reference image and the keypad is recorded. 出于安全目的，乱序小键盘图像3在其被加密和发送到远程设备1之前被重命名； 这防止了恶意软件或其他未授权方截取和解码PIN的可能性。  For security purposes, the image disorder keypad 3 is renamed before it is encrypted and sent to the remote device 1; this prevents the possibility of malware or other unauthorized parties intercepting and decoding a PIN. 图1至图4示出的是根据本发明可提供的乱序小键盘图像3的各种外观的一些示例。  Figures 1 to 4 are shown some examples of various appearances 3 according scrambled keypad of the present invention can provide an image. 以示例的方式，图2示出了具有秋季树叶背景的乱序小键盘图像3。  By way of example, FIG. 2 shows a scrambled image with a keypad 3 autumn foliage background. 这可以为零售商根据季节性变化来使用或可用于广告的目的。 This can be used or can be used for the purpose of advertising for retailers according to seasonal changes. 图3示出的是失真了的仅黑白的图像，使得其不能被OCR软件读取。  FIG. 3 shows a distorted image of only black and white, so that it can not be read by OCR software. 本领域普通技术人员将意识到此类图像要求高分辨率屏幕来正确地显示。 Those of ordinary skill in the art will recognize that such images require high-resolution screen is to be displayed correctly. 图4示出的是已经改造成阿拉伯字母的单色小键盘图像。  FIG. 4 shows a has been transformed into the Arabic alphabet keypad monochrome image. 本领域普通技术人员将理解的是字符间的地方差异也可与图2和图3中所示的其他影像技术方法结合。 Those of ordinary skill in the art will understand that where the difference between the characters may also be combined with other imaging techniques and methods to FIG 2 shown in FIG. 在适当功率的设备上，视频覆盖可用来代替静态图像，以进一步降低可以用OCR软件来读取小键盘的潜在可能。  In the appropriate power device, video overlay static images can be used instead, to further reduce the potential OCR software can be used to read the keypad. 这一特征还可用于广告的目的。 This feature can also be used for the purpose of advertising. 重要的是，为了提供必要的安全级别，恶意软件以及未授权方无法读取显示给用户的乱序小键盘图像中包含的数据。  It is important, in order to provide the necessary level of security, malware, and unauthorized parties can not read data out of order keypad image displayed to the user included. 如上所述，这由本发明通过提供单个图像或者图片格式的乱序小键盘来实现。 As described above, this is achieved by providing a keypad scrambled a single image or picture format is achieved by the present invention. 虽然对于微型计算机上OCR图像是可能的，但移动电话没有能力做到这一点，并且对于隐藏的恶意软件来说几乎是不可能在不引起检测的情况下处理所要求的复杂程度。 Although OCR for images on microcomputers is possible, but the mobile phone is not able to do so, and for hidden malware is almost impossible to deal with the complexity of the required without causing detection. 这个问题可以至少部分通过使用不能被OCR技术理解的随机背景和字体来解决。  This problem can be solved by using at least in part can not be understood OCR technology random background and font. 问题也可以通过将小键盘图像作为视频文件进行输送来解决。 The problem can also be solved by the small keyboard image is conveyed as a video file. 虽然视频文件其自身并不适于被OCR技术读取，但对第三方，从视频文件中“抓取“单个屏幕并读取它，存在技术上的可能性。 While the video file itself is not adapted to be read by OCR technology, but for a third party, the video file "grab" a single screen and read it, technically there is a possibility. —个可结合到本发明各种实施例的解决方案，也可将两个前述系统组合成一个系统。  - of the present invention may be incorporated into various embodiments of solution can also be a combination of the two systems into one system. 因此，乱序小键盘图像是以平面格式（即，使用非特殊字体并且背景为“正常'0呈现给用户，但文件本身是小视频文件，当播放时，欺骗眼睛使认为图像是固体和静态的。实际上没有任何单独的帧包含足够的信息，以使其被逆向工程返回到可理解的、可用的内容。 Therefore, the images are scrambled keypad plane format (ie, the use of non-specific font and the background is "normal '0 presented to the user, but the file itself is a small video file, when playing, fool the eye so that the image is considered solid and static Indeed no single frame contains sufficient information, so as to be returned to the reverse engineering appreciated, available content. 系统可以实现为像3帧那样小，每个帧都被快速连续的播放，以使看上去是静态的。  The system can be implemented as small as three, each frame is played in quick succession, so that appears to be static. 图18给出一个示例。 Figure 18 shows an example. 当结合到视频文件中时，静态的词“Licentia”被播放，但是各个图像不可被OCR包读取。 When incorporated into the video file, static word "Licentia" is played, but each image can not be read by OCR package. 图6示出了本发明的这一方面。  FIG. 6 illustrates this aspect of the present invention. 在某些实施例中，设备1在它可以与本发明的系统和下载到目标设备1的小应用8 一起使用之前必须被注册。  In certain embodiments, it may be associated with the device 1 in the system and downloaded to the target device of the present invention is an applet must be registered before use with 8. 如果所使用的设备是移动电话1，则更新过程可“通过无线”自动发生;如果设备是固定终端，则可通过固定线路下载软件8,然而它也可以在制造时内置在设备中并根据要求简单地更新。 If the device used is a mobile telephone 1, the update process may be "the wireless" automatically occurs; if the device is a fixed terminal, a fixed-line can download software through 8, but it may be built in the apparatus during manufacture and as required simply update. 所要求的数据的性质和类型可由系统运营商规定，并根据系统正在使用的应用， 数据的性质和类型随地区和地区之间变化。  The nature and type of data required by the system operator requirements, and depending on the nature and type of application the system is used, with between data and regional variations. 此外，注册数据可能已经被运营商掌握，因为消费者可以是现有客户，并且因此可能只有应用程序需要被推送到设备。 In addition, the registration data may have been mastered operators, because consumers may be existing customers, and therefore may be in the application needs to be pushed to the device. 3.然后，链接将被发送到移动手持终端1，以让用户沿用，或应用8被简单地向下“推送”到手机。  3. Then, the link will be sent to the mobile handheld terminal 1, to allow the user in use, or simply application 8 is downwardly "pushed" to the mobile phone. 在第一次运行时，应用8在设备1上设置，并下载可能所需的任何附加数据，如加密键等。  In the first run, the application 8 is provided on the device 1, and may be downloaded any additional data required, such as encryption keys. 在服务器上还创建了用于注册设备的自定义小键盘图像数据库(如图7所示）。 On the server also creates a custom keypad apparatus for registering the image database (see Figure 7). 上述用于移动电话，所要求的数据将由系统运营商规定。  The data for a mobile phone, the required predetermined by the system operator. 3.然后如果要求更新内部应用，则设备经由固定线路或无线被连接到服务器。  3. If required then updates the internal applications, the device is connected to the server via a fixed line or wireless. 下载需要的任何其他的数据，如加密键等。 Any other data download needs, such as encryption keys. 服务器上也创建用于注册设备的自定义小键盘图像数据库(见图7)。 The server also create a custom registration device's keypad image database (see Figure 7). 考虑图7。  Consider FIG. 对于上述两种情况，对于注册到系统上的每个设备，小键盘图像的自定义数据库(或索引）13在主数据库11创建。 For both cases, for each device to register on the system, a keypad image custom database (or index) 13 created in the primary database 11. 主数据库包含小键盘图像，该小键盘图像已经被专门生成用于设备的用户注册模型，以确保最佳显示。 Primary image database contains a keypad, the keypad image has been generated specifically for a device user registration model in order to ensure optimum display. 然后将数据库(或索引）11随机化12， 以确保不会有两个设备具有相同顺序的乱序小键盘图像，即小键盘参考“AXF015689.gif' 可以是对于一个设备在位置65894而在另一个设备上在位置125948。这再一次增强了安全性。 Then the database (or index) 11 randomized 12, to ensure that no two devices have the same image of a keypad scrambled sequence, i.e. a keypad reference "AXF015689.gif 'may be a device for and in another position 65894 on one device at a position 125948. this again enhances security. 应当指出的是，在某些实施例中，可能不要求用户注册。  It is noted that, in some embodiments, may not require user registration. 这可能是软件集成到第三方应用的情况。 This situation may be integrated into third-party software applications. 在这样的实施例中，所需的注册方法可能已经由第三方做出了适当的操作。 In such an embodiment, the desired registration may have been made suitable method of operation by a third party. 在图8中示出本发明的这一方面。  This aspect of the present invention shown in FIG. 用户和设备成功注册后，可以执行交易。 After the  user and device is successfully registered, you can execute the transaction. 根据系统与第三方应用集成的方式，认证(PIN请求)可由若干方法来启动。 The system with third party applications in an integrated manner, the authentication (PIN request) can be initiated several ways. c.提供网站，该网站在应用中使用时需要安全的PIN输入，以获得对信息的访问， 诸如在线银行访问。  c. To provide a site for the site when used in applications in secure PIN entry, to gain access to information, such as access to online banking. 然而，本发明不局限于这一点，并且由第三方提供的服务的性质或资源不是本发明的限制性特征。  However, the present invention is not limited to this, and limiting features or properties resources and services provided by third parties are not according to the invention. 在上述所有示例中，具有通用触发器，以用于PIN应用程序加载并执行随后的PIN 输入过程。  In all the above examples, a universal trigger for PIN application PIN load and execute a subsequent process input. 一旦已经被服务器接收到对图像的请求(其可称为“基于计算机的资源”），输入设备1被识别和认证，并且如果成功，则来自设备的“索引”13的下一个小键盘图像被加密并被传送到设备1。  Once a request has been received by the image server (which may be referred to as "computer-based resource"), the input device 1 is recognized and authenticated and, if successful, then the device from the "Index" of the next small 13 keyboard image is encrypted and transmitted to the device 1. 小键盘图像按照如图7条目13 (从上到下的顺序）中所示的设备“索引”2被顺序地发送，并不会被再次使用。 Keypad apparatus as shown in the image (top to bottom) in the "Index" 2 are sequentially transmitted according to the entry 13 in FIG. 7, and will not be used again. —旦加密小键盘图像3由设备1接收，其将被解密并传到“安全终端申请”。  - 3 denier encrypted image received by the keypad apparatus 1, it is decrypted and passed to "secure terminal application." 在图9和图10中示出本发明的这一方面。  This aspect of the present invention shown in FIGS. 9 and 10. “安全终端应用”是驻留在目标设备/电话1或固定终端上的程序，并且负责安全输入和用户输入的PIN返回到服务器的传送。  "Safety terminal application" is a program or the target device resides on the fixed terminal / telephone 1, and is responsible for the security input PIN input by the user and returns to the delivery server. 如上所述，小键盘2在设备上创建成3X4网格。  As described above, the keypad 2 to create a 3X4 grid on the device. 每个热点被分配有数值字符。 Each hotspot is assigned a numeric character. 然后， 应用程序用已经被预先生成并像下发送到手持终端1的随机化的小键盘表示3“覆盖”该参考小键盘2。 Then, using the application has been previously generated and transmitted to the handheld terminal randomized keypad 1 represents 3 "cover" the reference image at the keypad 2. 如上所述，这种乱序小键盘表示3已经以与下方小键盘2的尺寸完全相同的形式生成并完全覆盖它。 As described above, this disorder represented keypad 3 has been generated in the form of exactly the same size and the lower the keypad 2 and completely covers it. 因此，当用户使用乱序表示3输入他们的PIN号码14时，将生成不同的编码输出。  Thus, when the user uses the input scrambled 3 represents their PIN number 14, will generate different encoded output. 在下面的示例中，如果用户的PIN是“6725”，则小键盘就输出“0476”。 In the following example, if the user's PIN is "6725", the keypad outputs "0476." 这是加密了的“0476”的小键盘输出并且该输出发送回服务器的“解密引擎”。 This is encrypted "0476" keypad output and the output is sent back to the server "decryption engine." —旦小键盘被按下四次，则乱序小键盘图像3将使用安全删除算法从它归属的受保护的存储器中被安全地擦除。  - Once the keypad is pressed four times, the scrambled image 3 using a keypad security algorithm is deleted securely erased from the protected memory in its home. —旦中央服务器（“基于计算机的资源”）从手持终端1接收输入的编码的和加密的PIN，则它必须转回原始的用户PIN。  - once the central server ( "computer-based resources") to receive input from a handheld terminal encoded and encrypted PIN, it must back to the original user PIN. 这是由在单独的安全服务器上保持的“解密引擎”来完成，仅出于该目的。  This is done by "decryption engine" kept on a separate secure server, only for that purpose. 如先前所述，当设备1将自己标识给服务器并请求小键盘图像3时，发送到设备1的小键盘图像的唯一的文件名称被临时存储。 As previously described, when the device 1 to identify themselves and request the keypad image server 3 transmits the image to the keypad apparatus 1 of the unique file name is temporarily stored. 该文件名包含在小键盘中的键的顺序，即图9中所示的小键盘图像的文件名将为“0347152986”。 The order of the keys in the file name contains a keypad, i.e. Figure 9 keypad image file name shown as "0347152986." 这能够使得乱序小键盘图像和参考小键盘之间的映射被记录。 This enables scrambled keypad mapping between the reference image and the keypad is recorded. 出于安全的目的，乱序小键盘图像3在其被加密并被发送到远程设备1之前被重命名。 For security purposes, scrambled image 3 in which the keypad is encrypted and sent to the remote devices before being renamed 1. 当加密PIN到达时，消息首先使用用于手机/设备的共享密钥(这可以是三重DES或公私密钥、或根据手持终端开发期间认为合适的任何内容)进行解密。  When the encrypted PIN arrives first message using a shared key for mobile phones / devices (which may be a public-private key or Triple DES, or any content that the appropriate period in accordance with the development of a handheld terminal) for decryption. 一旦消息已被解密，由用户输入生成的编码PIN必须被解密。  Once the message has been decrypted, the input generated by a user PIN code must be decrypted. 为了做到这一点，被发送的小键盘图像的文件名被复制到临时阵列，并且然后对于由用户输入生成的每个号码，相应阵列位置中的号码被取代，因此显示实际的PIN号码。 To do this, the keypad image file name to be transmitted is copied to a temporary array, and then for each number input generated by a user, the corresponding number of array positions is substituted, thus indicating the actual PIN number. 因此对于用户PIN是6725的上述示例，手持终端生成并发送加密的PIN 0476。  Thus the user PIN is generated to the above-described exemplary 6725, the handheld terminal and transmits the encrypted PIN 0476. 对于生成的PIN中的每个号码，“阵列位置”被定位并且相应的“文件名字符”被取代。  For each generated PIN number, an "array location" is located and the appropriate "file name characters" substituted. 在解密过程已经完成之后，就显示用户的“真实”输入6725。  After the decryption process has been completed, on the show "real" user input 6725. 然后将使用标准银行加密将PIN号6725加密并传给收单方或银行的合作伙伴进行处理。 Standard Bank will then be used to encrypt the PIN number 6725 and passed encryption partner or acquirer bank for processing. 应当指出的是，在与金融交易相关的实施例中，这仅被进一步加密并传递给收单方。 It should be noted that, in the embodiment related to financial transactions, which is only further encrypted and passed to the acquirer. 根据特定应用的性质和要求，数据可或可不被进一步加密。  Depending on the nature and requirements of the particular application, the data may or may not be further encrypted. 然后，阵列连同任何其他临时数据将被安全地被擦除，以确保安全。  Then, together with any other interim data array is erased securely to ensure safety. 应当注意的是，在某些替代实施例中，可提供12个较小的键的图片(每个用于一个号码或热点）。  It should be noted that, in some alternative embodiments, 12 may be provided minor key images (one for each hot spot or number). 电话或其他设备可设置为选择随机号码，并将各个图像重新排列成3 X 4阵列(并且因此按需求构成虚拟小键盘）。 Telephone or other device may be configured to select a random number, and the respective images rearranged to 3 X 4 array (and thus constitute a virtual keypad on request). 然而，这样的实施例存在潜在的安全漏洞并可为恶意软件提供多个接入点来获得用户的PIN (因为手持终端/设备将不得不将随机号码以及由此产生的PINpad的顺序传送回服务器）。 However, such embodiments and potential security vulnerabilities PIN provides multiple access points to obtain the malware user (since the handheld terminal / device will have to be transmitted back to the server random number and the sequence of the resulting PINpad ). 因此，这样的实施例适合于在要求的安全级别相对较低的情况下的应用。 Thus, such an embodiment of the application at a relatively low level of security requirements is suitable for the case. 还应当注意，尽管以上已经关于具有触摸屏的移动电话描述了本发明，但是其他实施例可包括不同类型的设备。  It should also be noted that while the above has been made regarding a mobile phone having a touch screen of the present invention is described, but other embodiments may include different types of devices. 例如，在另一个实施例中，设备可以是个人计算机、或笔记本电脑、或平板计算机。 For example, in another embodiment, the device may be a personal computer, or a laptop, or tablet computer. 实施例将基本上如上所述起作用，除了用作例如PC的通用计算设备，通常不包括标准的过程调用以用于像移动电话那样生成小键盘，小键盘区和热点由在设备上执行的特制的软件部件指定。 Example embodiments will be substantially function as described above, as for example general purpose computing device in addition to the PC, typically do not include standard procedure calls for a keypad image is generated as a mobile phone, a small keyboard and hotspot performed on the device by the designated special software components. 软件规定了构成小键盘区的那部分屏幕，以及子区(键)的位置和小键盘区中与其相关联的符号。 Predetermined symbol positions constituting the software keyboard area small part of the screen, and a sub-region (key) and a keypad area associated therewith. 乱序小键盘图像在该位置显示，以提供上述重叠技术。 Scrambled image is displayed in the keypad position to provide the overlapping technique. 底层小键盘使用由智能电话实现的相同（或基本上相同的）的过程调用产生。 Using the same underlying keypad implemented by the smart phone (or substantially identical) procedure call is generated. 在另一个实施例中，可提供一种与用于零售环境的已知的读卡终端类似的终端。  In another embodiment, it may provide a known card reader terminal for retail environment similar to the terminal. 终端可包括触摸屏幕并包括复制那些移动电话的内部部件。 The terminal may include a touch screen and an internal member that includes a copy of the mobile phone. 因此，终端可如同电话一样可以接收和发送数据，并且终端可根据上述本发明参考移动电话形式的目标设备起作用。 Thus, as the telephone terminal can receive and send data, and may refer to a mobile telephone terminal in the form of a target device according to the above-described functions of the present invention. 因此，本发明可被配置为与各种计算相关设备一起使用，以达到相同效果。  Accordingly, the present invention may be configured for use with various computing devices associated, to achieve the same effect. 另外，本发明可被配置为包括进一步增强用户数据的安全性的各种特征。  Further, the present invention may be configured to include various features to further enhance the security of user data. 例如，所谓的“中间人攻击”是众所周知的问题。  For example, the so-called "man in the middle attack" is a well-known problem. 在本发明中，可使用“水印”功能来向用户（即零售商或可能的终端顾客)展示输入设备正在与合法方(例如恰当的银行)进行通信，并且因此乱序的小键盘图像已经由该合法方而不是冒名顶替者发送，来解决该问题。 In the present invention, it can be used "Watermark" feature to show to the user (i.e., the retailer or customer terminal may be) input device is communicating with a legitimate party (e.g., the right bank), and the thus scrambled image has a keypad the legitimate party and not an impostor sent to solve the problem. 当PIN输入屏幕被显示时，商家必须在呈递给顾客用于输入他们的PIN之前，物理地核对在屏幕上显示了他们注册的预先选择的密语等。  When the PIN input screen is displayed, businesses must be handed to the customer to enter their PIN before, physically check showed their registration and other pre-selected secret language on the screen it was. 这与ssl技术中采用的基本上是相同的原理，其中其寻找小的黄色的锁定图标作为确认网站的合法性。 This ssl technology used in basically the same principle, which find their small yellow lock icon to confirm the legitimacy of a website. 通过这么做，确保设备正在与合法方安全地对话的责任被放到了商家。  By doing so, ensure that the equipment is the responsibility of the dialogue with the legitimate party safely into the business. 如果显示了与商家期望的不同的指示符(水印），或根本没有指示符显示，则可以假定该过程已经被破坏。 If the expectations with the business of different indicators (watermark), or no indicator display, it can be assumed that the process has been destroyed. 该水印可在屏幕上停留一段持续时间，用于顾客进行PIN输入。  The watermark can stay on the screen for a sustained period of time, perform for the customer PIN entry. 然而，优选的是，它只显示较短的时段(例如，几秒的范围），然后其可在被例如顾客的任何其他人看到之前消失。 However, it is preferred that it only shows the short period of time (e.g., the range of a few seconds), then it may disappear before anyone else see e.g. customer. 如果水印被其他人看到，这可允许他们执行中间人攻击。 If the watermark be seen by other people, which may allow them to perform middle attack. 图15a示出的是预先生成的空白的pin pad图片。 Figure 15a shows a previously generated image blank pin pad. 系统创建新的pin pad图片，以包括用户的秘语“jellybean”，然后“jellybean”被加密并被发送到设备。 The system creates a new pin pad pictures to include the user's secret language "jellybean", then "jellybean" is encrypted and sent to the device. 这在图15b中示出。 This is shown in Figure 15b. 注册后，用户还可选择在哪里显示水印，例如右、左、中心、顶部等。  After registration, the user can also choose to display a watermark, such as right, left, center, and other top where. 图15c示出了在左下角具有水印的小键盘图像。 Figure 15c shows a keypad in the lower left image has a watermark. 在可选版本中，文本的颜色、字体样式、或尺寸也可被选择。 In an alternative version, the color of the text, font style, size, or may also be selected. 此外，水印不一定是文本形式。  In addition, the watermark is not necessarily the text. 在一些实施例中，用户可上传照片或其他文件(例如，家庭照片或商店的照片等），使得该图像在背景中显示。 In some embodiments, a user can upload photographs or other documents (e.g., family photographs or photo shop, etc. ), so that the image displayed in the background. 这在图15d中示出。 This is illustrated in FIG. 15d. 水印功能适用于本发明的所有实施例，而不管本发明使用的环境或用于显示小键盘的设备的性能(例如，在线通过浏览器，经由被布置与本发明一起使用的终端，或移动电话等)。  Watermark function applies to all embodiments of the present invention, the present invention regardless of environmental or performance of the device for displaying a keypad (e.g., line terminal is arranged for use with the present invention, through the browser, via, or mobile phone, etc.). 为了进一步增强系统的安全性，本发明可使用一种或多种技术，来使未授权方更难弄清、认出或计算所显示的小键盘图像（即用户用来输入他的PIN的小键盘)和底层小键盘之间的映射。  To further enhance the security of the system, the present invention may use one or more techniques, to make unauthorized parties more difficult to understand, recognize or calculate a keypad displayed image (i.e., a user inputs his PIN keypad) and a mapping between the underlying keypad. 例如，如果用户已经选择了包含相同数字一次以上的PIN (例如1223)，则可使计算输入和“底层”小键盘之间的关系更容易。  For example, if the user has selected the same PIN numbers comprising more than one (e.g. 1223), the relationship between the input and calculates the "bottom" keypad make easier. 克服这种弊端的一种可能方法可以是创建多于一个的底层小键盘。  One such overcome the drawbacks of methods may be possible to create more than one underlying keypad. 例如，可以为每个按键生成虚拟小键盘。 For example, a virtual keypad may be generated for each key. 下面给出一个示例。 An example is given below. 图16a示出的是乱序小键盘图像，并且图16b示出的是“底层”小键盘。  FIG. 16a shows a scrambled image of a keypad, and Figure 16b shows a "bottom" keypad. 如果用户的PIN是1111，则被发送回服务器的编码PIN将是9999。 If the user's PIN is 1111, were sent back to the server PIN code will be 9999. 这就为试图计算或猜测用户PIN的潜在黑客提供了起点。 This provides a starting point for potential hackers tried to calculate or to guess a user's PIN. 然而，如果使用4个不同的“底层”小键盘来代替一个小键盘，就能克服这个问题。  However, if four different "bottom" in place of a keypad, the keypad can overcome this problem. 因此，数字序列可以被发送到目标设备(例如终端、电话、PC)，并且序列被目标设备使用以形成小键盘。 Thus, the digital sequence may be sent to the target device (e.g., terminal, phone, the PC), and the target sequence is used to form the keypad device. 对于图16b中的小键盘，序列将是3156790482。 For Figure 16b keypad sequence would be 3,156,790,482. 利用这个方法，有可能生成用于每个被要求键按压的新的小键盘。 Using this method, it is possible to generate required for each new key press a keypad. 因此，根据上述的说明，如图16a所示的在顶部的pin pad作为图像被发送到目标设备。  Thus, according to the above description, pin pad at the top as shown in FIG. 16a as an image to be transmitted to the target device. 然后，发送4个数字序列以用于底层小键盘的创建，例如3156790482，0746189352、 0347156289、2581673904。 Then, the transmission 4 digit sequence for creating the underlying keypad, e.g. 3156790482,0746189352, 0347156289,2581673904. 这产生如图16b至16e中所示的小键盘。 Keypad shown in FIG. 16b to 16e which produces. 现在假定用户的输入是1111。  Assume now that the user input is 1111. 代替产生9999,代码9857被生成并被发送回服务器以供解密。 9999 instead of generating code 9857 is generated and sent back to the server for decryption. 随着服务器“知道了”哪一个乱序小键盘图像被发送，和哪一个数字序列，产生的编码PIN似乎更加随机得多，因此更难被拦截器解读。 With the server "knows" a disorder which keypad image is sent, and a sequence of numbers which, encoding the generated PIN appears much more random, and therefore more difficult to interpret the interceptor. 在服务器端的解密过程保持同上。 In the decryption process server maintained above. 此外，为了进一步提高安全性，在小键盘的生成中可以使用其他字符的组合，而不仅仅是字符。  In order to further improve security, the keypad may be generated using a combination of other characters, rather than characters. 例如，序列Jg6KrBj〇J6也可以被发送。 For example, the sequence may be transmitted Jg6KrBj〇J6. 这将生成如图17所示的底层小键盘。 This generates the underlying keypad shown in FIG. 17. 在这样的实施例中，在底部小键盘中随机生成的字符串的使用减少了“过滤”底层小键盘(如上所述）以移除可能为攻击者提供用于攻击的起始点的潜在的不合适的小键盘的需要。  In such an embodiment, the randomly generated string in the bottom of the keypad reduces the "filtering" the underlying keypad (as described above) may be provided to remove the starting point for attack the attacker require potential inappropriate keypad. 然而在优选实施例中，仅使用了1.6m的乱序（“顶部”）小键盘图像而不是可能的3.6m的乱序（'顶部'）小键盘图像，并且仍然执行检查，以确保没有重叠的和底层的小键盘之间的映射是相同的，即1 = 1。  In a preferred embodiment, however, using only a scrambled 1.6m ( "top") image instead of a keypad possible scrambled 3.6m (the 'top') a keypad image, and still checks to to ensure no overlap of mapping between the keypad and the bottom is the same, i.e., 1 = 1. 图19示出了本发明可被实施到交易系统的一种方式。  FIG. 19 shows an embodiment of the present invention may be implemented into the trading system. 图19包括以下系统部件、或模块。  Figure 19 comprising the system components or modules. 设备应用：在终端或移动电话上运行的app，来管理用户交互和技术工艺流程，包括启动支付交易、与读卡机交互、请求oPinPad (即乱序小键盘图像）、加密所输入的oPin以及在线发送交易用于授权。  The device applications: running on a terminal or a mobile phone App, to manage user interaction processes and technologies, including starting a payment transaction, to interact with the card reader, requested oPinPad (i.e. scrambled image keypad), encrypts the input the oPin and sent online transactions for authorization. OPinPad管理模块:在专用服务器上的中央安全数据中心运行的单机应用模块。  OPinPad Management Module: single central data center security application module running on a dedicated server. 其承载所有oPinPad TIF图像的数据库，并按需求管理oPinPad TIF图像的分配。 Database which carries all oPinPad TIF images, and demand-driven distribution management oPinPad TIF images. 认证客户端:在中央安全数据中心运行的单机应用模块，可能与oPinPad管理模块在相同的服务器上(或者，在一些实施例中在其自身的专用服务器上）。  authentication client: running the data center in the central security module stand-alone applications, and may be on the same module oPinPad management server (or, in some embodiments on their own dedicated server). 其接收来自设备的消息，并准备将信息发送到支付开关用于认证。 Receiving a message from the device, and is ready to transmit information to a payment switch for authentication. HPSAM应用:在专用服务器上中央安全数据中心中运行的单机应用模块。  HPSAM Applications: stand-alone application running in the security module a central data center on a dedicated server. 在一些实施例中，服务器可被安全硬化。 In some embodiments, the security server may be hardened. #ZMK:区域主密钥。  #ZMK: master key area. 应当注意，上述实施例是对本发明的说明的而不是限制，并且本领域的技术人员将能够设计出许多可替换的实施例而不偏离由所附权利要求书的内容所限定的本发明的范围。  It should be noted that the above embodiments are illustrative of the invention rather than limiting, and those skilled in the art will be able to design many embodiments without departing from the content of the appended claims may be defined in the present alternative scope of the invention. 在权利要求中，置于括号中的任何参考标号都不应被解释为对权利要求的限制。 In the claims, any reference signs placed in parentheses shall not be construed as limiting the claim. 术语“包括(comprising)”和“包含(comprises)”等不排斥任何在权利要求或整个说明书之外出现的元素或步骤。 The terms "including (comprising,)" and "comprising (comprises &)" does not exclude any other elements appear from the claim or the specification or the whole step. 在本说明书中，“包含（comprises) ”是指“包括（includes)或含有”且“包括(comprising)”是指“包含（including)或含有”。 In the present specification, "comprising (comprises &)" means "including (Includes) or comprising" and "including (comprising,)" means "comprising (Including) or comprising." 元素的单数引用并不排除这些元素的复数引用，反之亦然。 Element in the singular references do not exclude a plurality of elements of these references, and vice versa. 事实上，在相互不同的从属权利要求中引用的某些措施并不表示这些措施的组合不能被有利地使用。 In fact, that certain measures are recited in mutually different dependent claims does not indicate that a combination of these measures can not be used to advantage. 1. 一种计算机实现的验证方法，包括以下步骤： 使用户能够将标识符的编码版本输入到电子设备中，所述电子设备具有： i) 屏幕；以及ii) 在所述屏幕的小键盘区中的由在所述电子设备上执行的过程调用产生的可操作的虚拟小键盘； 所述使用户能够将标识符的编码版本输入到电子设备中是通过经由至少部分地显示在所述小键盘区中的小键盘的至少部分的图像操作所述可操作的虚拟小键盘的至少一个键来进行的;其中， 所述图像表示或描绘了具有至少一个键的乱序小键盘，所述乱序小键盘的至少一个键相对于所述可操作的虚拟小键盘中的键的布局在位置上被重新排序或重新配置；以及所述图像用作重叠在所述可操作的虚拟小键盘上方的遮罩或掩蔽，使得当所述用户触摸、点击或以其他方式标识所述图像中的位置时，其将操作定位在所述小键盘区中的 1. A computer-implemented method of authentication, comprising the steps of: enabling a user to input the encoded version of the identifier to the electronic device, the electronic apparatus has: I) screen; and ii) a keypad in the region of the screen the process performed by the electronic device on the call operable to generate a virtual keypad; enabling the user to the encoded version of the identifier is input to the electronic device is a keypad on the at least partially via the image of the operation of the virtual keypad is operable in the region of at least part of the keypad keys to perform at least one of; wherein the image depicts a disorder or represents a keypad having at least one key, the shuffling and a cover superimposed on the image as the virtual smaller operable above the keyboard; at least one key button arrangement with respect to the virtual keypad is operable to be re-ordered or re-arranged at a position on the keypad cover or mask such that when the user touches, clicks or otherwise identify the location in the image, which will be positioned in the operating region of the keypad 位置处的所述小键盘的键。 At the position of the keypad keys. 2. 根据权利要求1所述的方法，其中，用户经由所述图像对所述小键盘的键的操作生成所述用户意图输入的所述编码版本。 The method according to claim 1, wherein said encoded version of a user operation of keys of the keypad of the user intends to input via the image. 3. 根据权利要求1或2所述的方法，其中，所述图像是电子形成的，包括图形图像、光学图像、视频或某种其他形式的视觉表示。 3. The method of claim 1 or claim 2, wherein said electronic image is formed, comprising a graphic image, the optical image, a video, or some other form of visual representation. 4. 根据权利要求1或2所述的方法，其中，所述小键盘区是覆盖整个屏幕或其一部分的、 所述屏幕的限定的区域或部分。 4. The method of claim 1 or claim 2, wherein said region is a keypad or a portion thereof over the whole screen, the screen defined area or portion. 5. 根据权利要求1或2所述的方法，其中，所述图像在所述小键盘区中显示，使得当所述用户触摸、点击或以其他方式标识所述图像中的位置时，在该位置的小键盘的键被激活，以提供所述用户输入的编码版本。 5. The method of claim 1 or claim 2, wherein the image display region in the keypad, such that when the user touches, clicks or otherwise identifying the position of the image, in which a position key keypad is activated to provide coded version of the user input. 6. 根据权利要求1或2所述的方法，其中，所述图像被显示为使得其精确地、完全地或部分地占据了所述小键盘区。 6. A method according to claim 1 or 2, wherein the image is displayed such that it is accurately and completely or partially occupies the zone of the keypad. 7. 根据权利要求1或2所述的方法，其中，所述图像被显示为使得对所述用户而言看起来，所述图像是可操作的小键盘，所述可操作的小键盘具有相对于所述电子设备的小键盘呈扰乱的顺序或配置的键。 7. The method of claim 1 or claim 2, wherein the image is displayed such that the user looks the image is operable keypad, the keypad operable with a relatively on the keypad of the electronic device as a sequence of key configuration or disturbed. 8. 根据权利要求1或2所述的方法，其中，所述小键盘区是在用户输入所述标识符之前被指定为小键盘显示区域的所述屏幕的一部分。 8. The method of claim 1 or claim 2, wherein said keypad area is specified as part of the display area of ​​the screen as a keypad before the user enters the identifier. 9. 根据权利要求1或2所述的方法，其中，在所述用户的标识符的输入期间，所述小键盘区和/或所述图像保留在所述屏幕上的固定位置。 9. The method of claim 1 or claim 2, wherein, during the input of the user identifier, the small keyboard and / or the image retained in a fixed position on the screen. 10. 根据权利要求1或2所述的方法，其中，所述标识符是个人标识代码或个人标识码。 10. The method of claim 1 or claim 2, wherein the identifier is a personal identification code or personal identification number. 11. 根据权利要求1或2所述的方法，其中，所有在所述图像中描绘的键相对于在所述小键盘中的键被重新定位或重新排序。 11. The method of claim 1 or claim 2, wherein all the keys depicted in the image with respect to the key in the keypad is relocated or reordered. 12. 根据权利要求1或2所述的方法，其中，通过与所述屏幕交互，所述用户能够输入所述标识符。 12. The method of claim 1 or claim 2, wherein, through interaction with the screen, the user can input the identifier. 13. 根据权利要求1或2所述的方法，还包括以下步骤:将所述图像从位于远程的基于计算机的资源发送到所述电子设备。 13. The method of claim 1 or claim 2, further comprising the step of: transmitting the image from a remotely located computer-based resources to the electronic device. 14. 根据权利要求1或2所述的方法，其中，所述小键盘区包括多个子区或“热点”，每个子区对应于小键盘的键。 14. The method of claim 1 or claim 2, wherein the keypad comprises a plurality of regions or sub-regions, "hot spots", each sub-region corresponds to a keypad key. 15. 根据权利要求14所述的方法，其中，所述乱序小键盘的图像被呈现给用户，使得所述图像中描绘的至少一个键的位置对应于子区的位置，从而提供了所述图像中描绘的所述乱序小键盘的键和所述多个子区之间的映射。 15. The method according to claim 14, wherein said keypad scrambled image is presented to a user, such that the position depicted in the image at least one key location corresponding to the sub-regions, thereby providing the mapping between images depicted in the shuffling keypad keys and said plurality of sub-regions. 16. 根据权利要求1或2或15所述的方法，其中，在所述用户的标识符的至少一部分已经被输入之后，所述乱序小键盘中的键的配置或顺序被改变。 16. The method of claim 1 or 2 or as claimed in claim 15, wherein, after at least a portion of the user identifier has been input, the sequence of arbitrary configuration or sequence of keys in the keypad is changed. 17. 根据权利要求1或2或15所述的方法，其中，所述用户的标识符的编码版本由多个击键而被构造在所述电子设备中，所述多个击键响应于所述用户相对于所述屏幕上的所述图像所做出的点击、触摸或其他指示而在所述小键盘上被激活。 17. The method of claim 1 or 2 or as claimed in claim 15, wherein the encoded version of the identifier of the user is configured by a plurality of keystrokes in the electronic device, in response to the plurality of keystrokes said user with respect to the image on the screen to make a click, a touch, or other indication is activated on the keypad. 18. 根据权利要求1或2或15所述的方法，其中，被输入到所述电子设备的所述标识符从所述电子设备被发送到远程的基于计算机的资源。 18. The method of resource 1 or claim 2 or claim 15, wherein said electronic device is inputted to the identifier from the electronic device is transmitted to the remote computer based. 19. 根据前述权利要求18所述的方法，其中，所述远程的基于计算机的资源接收所述用户的标识符并对其进行处理。 19. The method according to claim 18, wherein the remote receiving the identifier of the user computer-based resources and processes. 20. 根据权利要求19所述的方法，其中，使用所述乱序小键盘的所述图像中描绘的键的配置的存储形式或版本，处理所述标识符。 20. The method according to claim 19, wherein, using the storage form of the configuration of the scrambled image depicted keypad keys or version, the process identifier. 21. 根据权利要求20所述的方法，其中，所述键的配置的所述存储形式或版本是文件名。 21. The method according to claim 20, wherein said storage form or configuration of the key version is the file name. 22. 根据权利要求21所述的方法，其中，处理涉及使用所述键的配置的所述存储形式或版本来提供所述用户输入的标识符的解码版本。 22. The method according to claim 21, wherein the processing relates to the storage form using the key version or configuration to provide a decoding version identifier of the user input. 23. 根据权利要求20至22中的任一项所述的方法，其中，将处理过的标识符与所述用户的标识符的存储版本进行比较，并且如果所述处理过的标识符与所述标识符的所述存储版本相匹配，则所述用户输入被认为是验证通过。 23. The identifier of the method of any one of claim 20 to claim 22, wherein the stored version identifier treated with the user identifier is compared, and if the treated the version of said stored identifiers match, then the user input is considered to be authenticated. 24. 根据权利要求1-2、15和19-22中的任一项所述的方法，其中，所述电子设备上显示的所述图像是从乱序小键盘的多个图像中选择的。 1-2,15 and 24. A method according to any one of the claims 19-22, wherein said image displayed on said electronic device is selected from a plurality of images in scrambled keypad. 25. 根据权利要求1-2、15和19-22中的任一项所述的方法，还包括以下步骤： 生成乱序小键盘的多个图像； 从所述多个图像中选择一个图像；以及将所选择的图像的副本发送到所述电子设备。 25. The method of any one of claims 1-2,15 and claims 19-22, further comprising the steps of: generating a plurality of images scrambled keypad; selecting one image from the plurality of images; and to send a copy of the selected image to the electronic device. 26. 根据权利要求25所述的方法，还包括以下步骤： 在执行所述选择之前，从所述多个图像中移除至少一个图像。 26. The method of claim 25, further comprising the step of: removing at least one image from the plurality of images prior to performing the selection. 27. 根据权利要求26所述的方法，还包括以下步骤： 在发送所述副本到所述电子设备后，将所选择的图像从所述多个图像中移除。 27. The method of claim 26, further comprising the step of: the selected image is removed from the plurality of images after transmitting the copy to the electronic device. 28. 根据权利要求26或27所述的方法，还包括以下步骤： 从所述多个图像中移除表示具有与所述小键盘的相应的键在相同位置上的至少一个键的乱序小键盘的任何图像。 28. The method of claim 26 or claim 27, further comprising the step of: removing from the plurality of images represents a respective small scrambled key of the keypad has at least one key at the same position on the any image of a keyboard. 29. 根据权利要求1-2、15、19-22和26-27中的任一项所述的方法，其中，所述图像中描绘的所有键的位置在所述用户的标识符的输入期间相对于彼此保持不变。 29. The method according to any one of claims 26-27 and 1-2,15,19-22 claim, wherein the position depicted in the image input during all the keys of the user identifier remains unchanged with respect to each other. 30. 根据权利要求1-2、15、19-22和26-27中的任一项所述的方法，其中，所述乱序小键盘的图像由所述电子设备接收自远离所述电子设备定位的基于计算机的资源。 30. The method of any one of claims 26-27 and 1-2,15,19-22 claim, wherein the keypad scrambled image received by the electronic apparatus from the remote electronic device positioning of computer-based resources. 31. 根据权利要求1-2、15、19-22和26-27中的任一项所述的方法，其中，所述乱序小键盘的图像中的至少一个键的符号至少部分地被遮蔽或模糊化，但保持对所述用户可读。 At least one key symbol 31. The method according to any one of claims 26-27 and 1-2,15,19-22 claim, wherein said image scrambling sequence keypad at least partially obscured or blurring, but remains readable to the user. 32. 根据权利要求1-2、15、19-22和26-27中的任一项所述的方法，其中，所述电子设备是移动电话、PC、平板计算机、笔记本电脑、PDA、读卡终端，或在外壳中的移动电话，使得其类似于读卡设备或ePOS设备、或具有通信能力的某种其他电子设备。 32. The method of any of claims 26-27 and 1-2,15,19-22 claim, wherein said electronic device is a mobile telephone, PC, a tablet computer, a notebook computer, PDA, reader terminal, or a mobile telephone in the housing, such that the card reader or similar device ePOS, or some other electronic device having communication capabilities. 33. 根据权利要求1-2、15、19-22和26-27中的任一项所述的方法，其中，所述图像经由web浏览器、或嵌入在浏览器中的应用、或独立的软件应用、和/或提供图形用户界面的应用来显示，使用户能够与所述屏幕交互。 33. A method according to any one of 1-2,15,19-22 and claim 26-27, wherein the image via a web browser, or an application embedded in the browser, or independent software applications and / or applications to display a graphical user interface, enabling a user to interact with the screen. 34. 根据权利要求1-2、15、19-22和26-27中的任一项所述的方法，还包括以下步骤:将指示符传递给用户，以确认所述乱序小键盘的图像已由合法资源提供。 The image will be delivered to the user an indicator to confirm the shuffling keypad: 34. The method according to any one of claims 26-27 and 1-2,15,19-22 claim, further comprising the steps of by the legal resources available. 35. 根据权利要求34所述的方法，其中，所述指示符是听觉指示、视觉指示、文本消息、 图像、视频、声音、水印、振动或其他触觉指示。 35. The method according to claim 34, wherein the indicator is an audible indication, a visual indication, a text message, image, video, sound, watermarks, vibration or other tactile indication. 36. 根据权利要求35所述的方法，其中，所述指示符已被所述用户选择。 36. The method according to claim 35, wherein the indicator has been selected by the user. 37. 根据权利要求1-2、15、19-22、26-27和35-36中的任一项所述的方法，其中，所述小键盘区在所述屏幕上的位置和/或其尺寸通过过程调用或方法调用来指定。 37. The method according to any one of claims 35-36 and 1-2,15,19-22,26-27, wherein the position of said keypad area on the screen and / or by size or procedure calls to specify method invocation. 38. 根据权利要求1-2、15、19-22、26-27和35-36中的任一项所述的方法，其中，所述图像和/或所述小键盘包括数值数字、字母字符、符号或任何其他标记，或其组合。 38. A method according to any one of 1-2,15,19-22,26-27 and claim 35-36, wherein the image and / or the numeric keypad includes a numerical, alphabetical characters , symbols or any other marker, or combinations thereof. 39. 根据权利要求1-2、15、19-22、26-27和35-36中的任一项所述的方法，其中，在所述用户输入之后、或在规定的一段时间之后，所述图像从所述电子设备中擦除。 39. The method according to any one of claims 35-36 and 1-2,15,19-22,26-27, wherein, after the user input, or after a predetermined period of time, the erasing the image from said electronic device. 40. 根据权利要求1-2、15、19-22、26-27和35-36中的任一项所述的方法，其中，所述用户输入的标识符被验证，以便控制对资源的访问。 40. A method according to any one of 1-2,15,19-22,26-27 and claim 35-36, wherein the user input identifier is verified, in order to control access to resources . 41. 根据权利要求1-2、15、19-22、26-27和35-36中的任一项所述的方法，还包括以下步骤： 将所述图像从远程的基于计算机的资源发送到所述电子设备；以及将至少一个指令发送到所述电子设备，所述至少一个指令被配置为在被所述电子设备执行时生成所述可操作的虚拟小键盘。 41. The method according to any one of claims 35-36 and 1-2,15,19-22,26-27, further comprising the step of: transmitting the image from a remote computer-based resources to the electronic device; and at least one instruction to the electronic device, said at least one instruction configured to generate the virtual keypad is operable when executed by the electronic device. 42. 根据权利要求12所述的方法，其中，通过触摸所述屏幕的一部分和/或使用指针设备来选择所述屏幕的区域，所述用户能够输入所述标识符。 42. The method of claim 12, wherein a portion of the screen by touching and / or pointing device to select the area of ​​the screen, the user can input the identifier. 43. 根据权利要求42所述的方法，其中，所述指针设备是鼠标或轨迹球。 43. The method according to claim 42, wherein said pointing device is a mouse or a trackball. 44. 根据权利要求24所述的方法，其中，所述多个图像是在选择所述图像之前被过滤、 选择或筛选出的，以确保所述多个图像中没有图像描绘与在所述小键盘中的对应的键处于相同位置的任何键。 44. The method according to claim 24, wherein said plurality of images are filtered before the image is selected, the selected or screened to ensure that no image drawing the plurality of images in the small keyboard key corresponding to any key in the same position. 45. 根据权利要求40所述的方法，其中，所述资源包括金融资源、设备、建筑物、电子资源，医用资源、信息或数据资源、或基于计算机的资源。 45. The method according to claim 40, wherein the resources include financial resources, equipment, buildings, electronic resources, medical resources, resource information or data, or computer-based resource. FR3058814A1 (en) * 2016-11-15 2018-05-18 Ingenico Group Method for processing transactional data, communication terminal, card reader and corresponding program. FR3060171A1 (en) * 2016-12-09 2018-06-15 Ingenico Group A data input securisation, communication terminal and corresponding program. FR2684778A1 (en) * 1991-12-06 1993-06-11 Maurras Jean Francois A random initialization key. FR2870364B1 (en) 2004-05-17 2007-06-29 Ahmed Merrouk Universal device confidential seizure. ES2381293B1 (en) 2009-04-20 2012-11-07 Alter Core, S.L. System and method of personal accreditation via mobile. NL1036976C (en) * 2009-05-20 2010-11-24 Bell Identification B V Method of securing entry of an alphanumeric code on a computer system, interaction and dedicated driver Therefor entity.